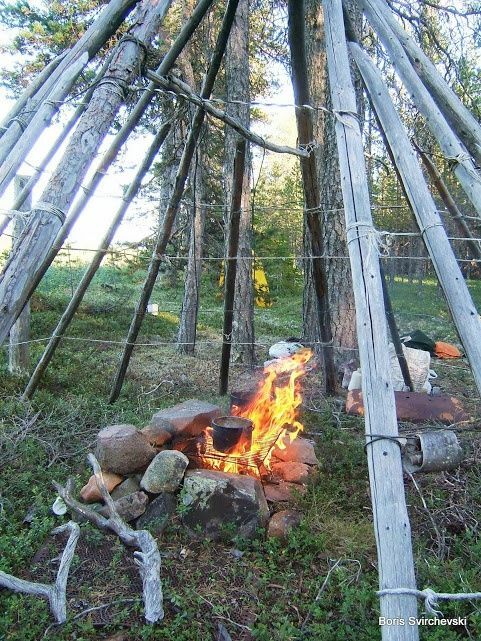 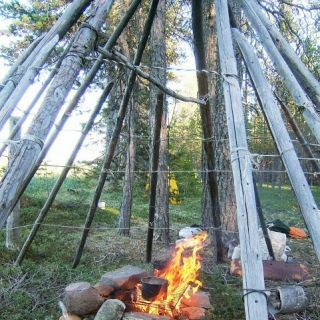 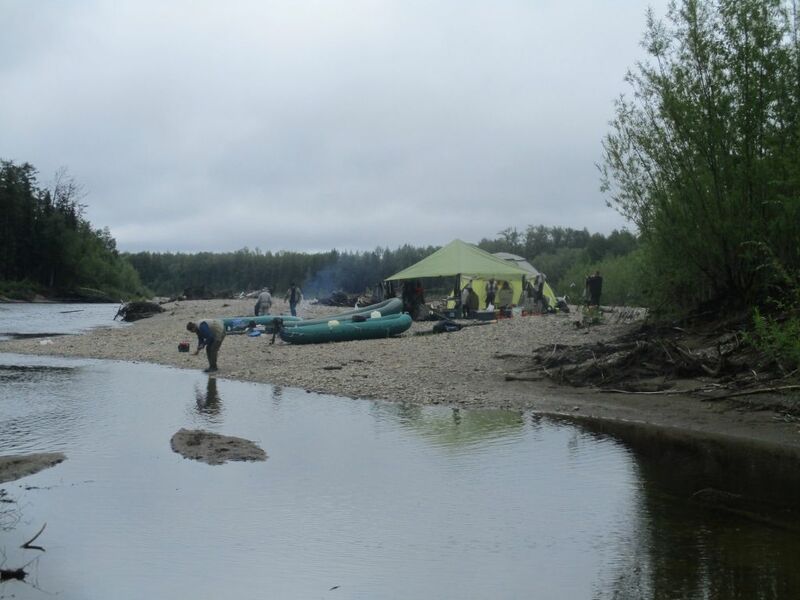 - Safety & equipment: we use quality camping cooking and watercraft equipment. 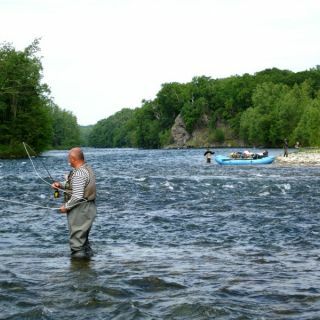 Each fisherman is provided by a life vest. 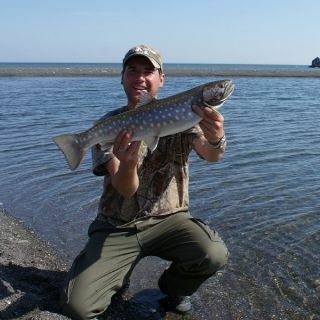 - Pricing; Daily rate for most of the tours is 300-350 USD/pers per fishing day. 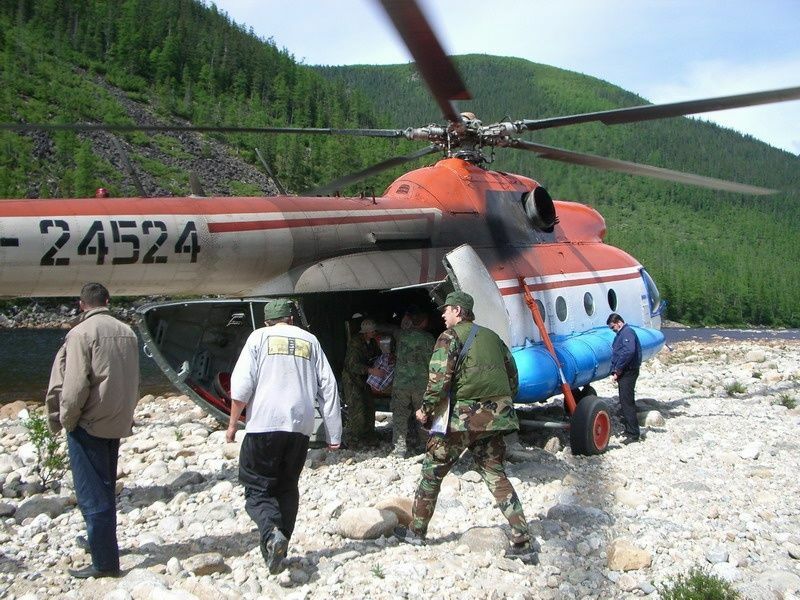 Cost of helicopter flight is indicated separately and shown like total flight cost. 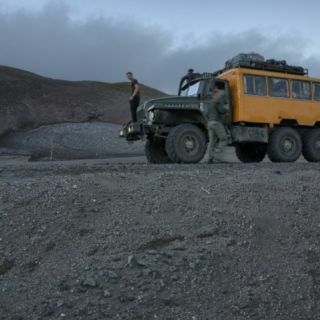 That cost is divided between clients. 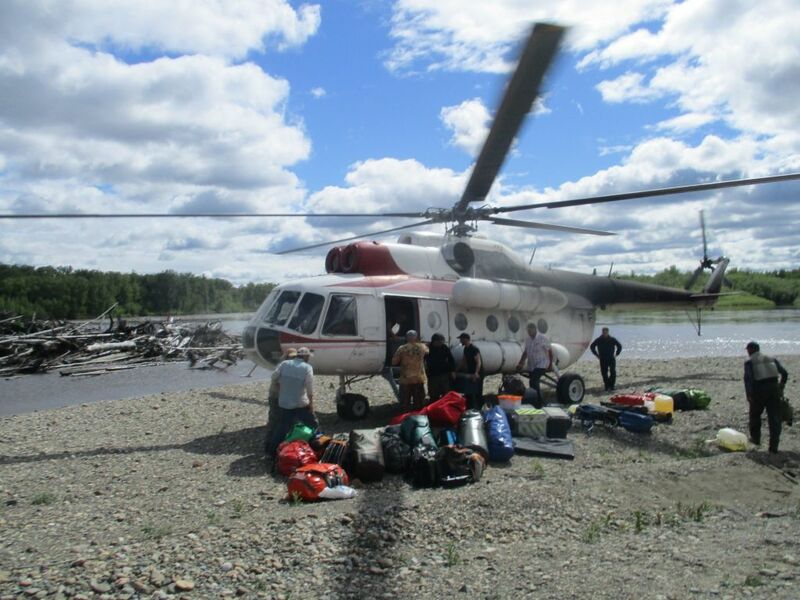 For 2019 MI-8 helicopter flight cost varies 2 000 - 4 500 USD/hour depending on the region. 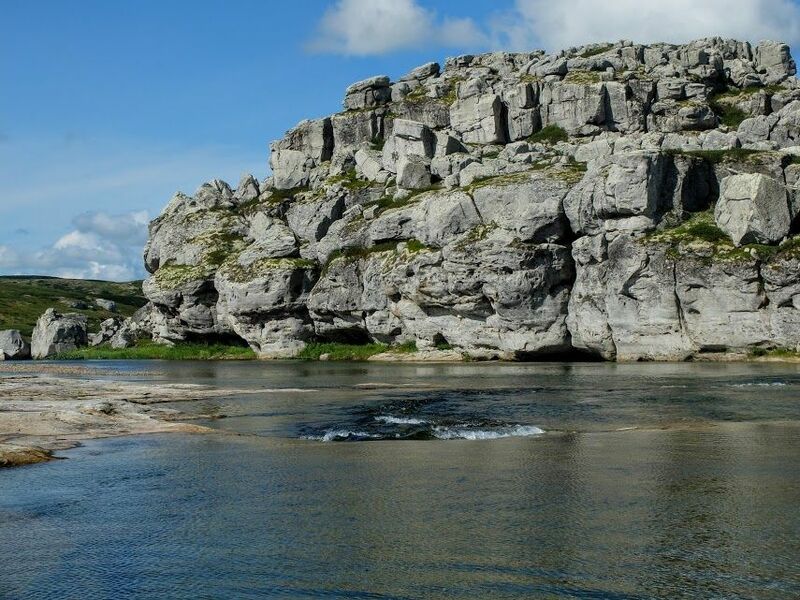 - see tour description in 'Destinations' section. 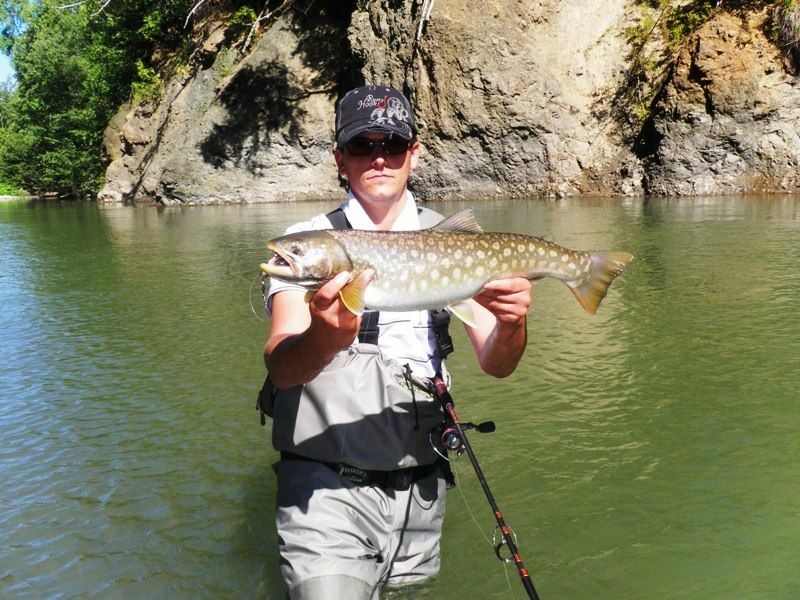 Eurasia Outfitters can also be reached via WhatsApp by clicking here or by sending a message to +7 931 331 9330. 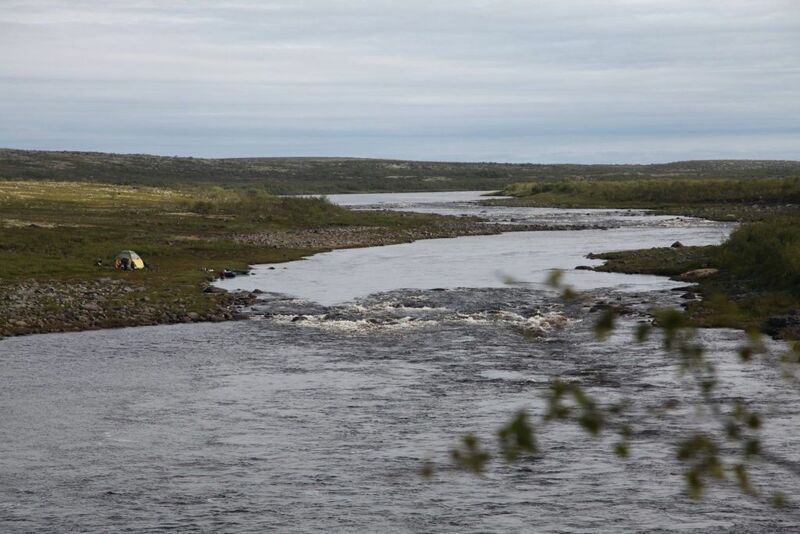 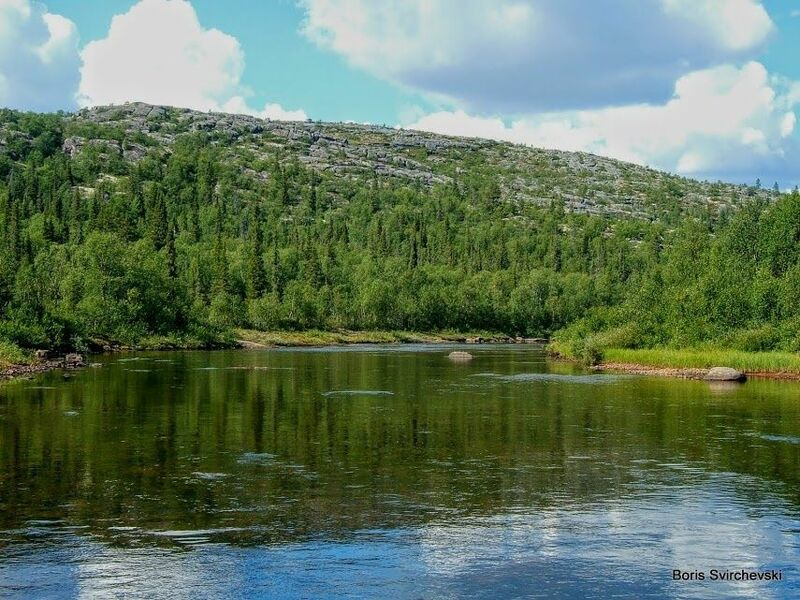 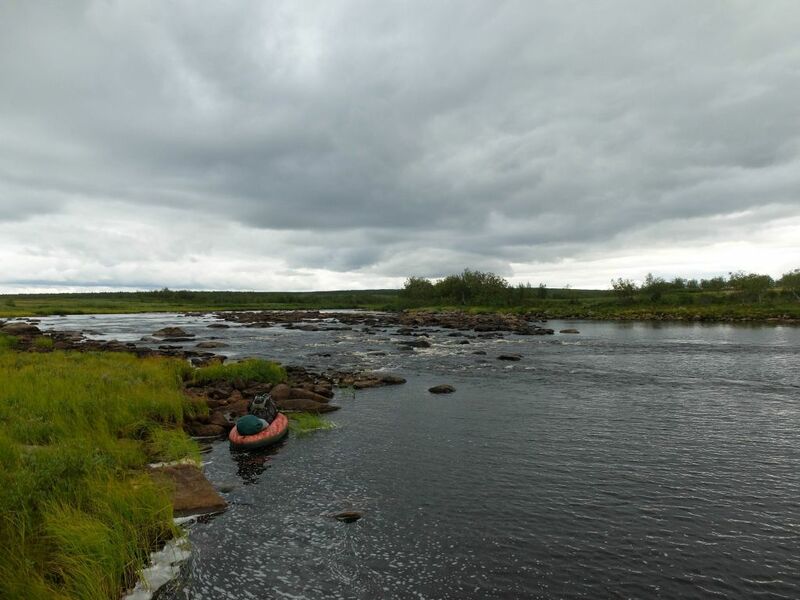 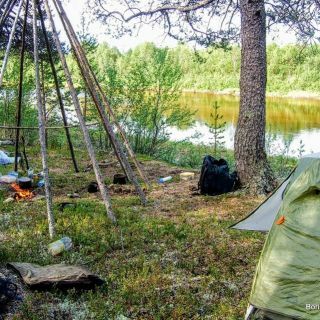 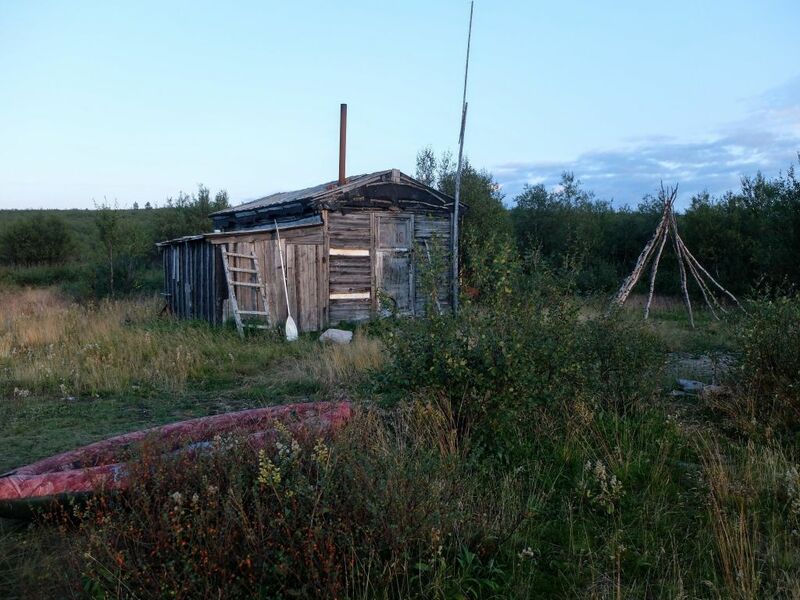 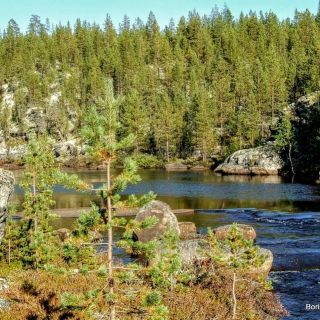 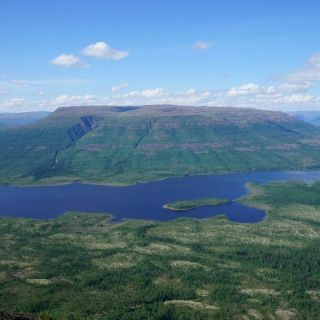 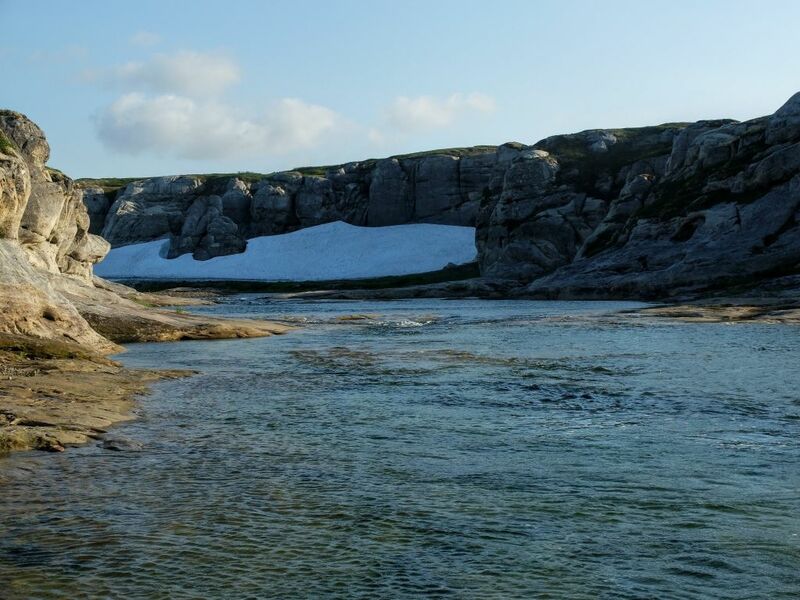 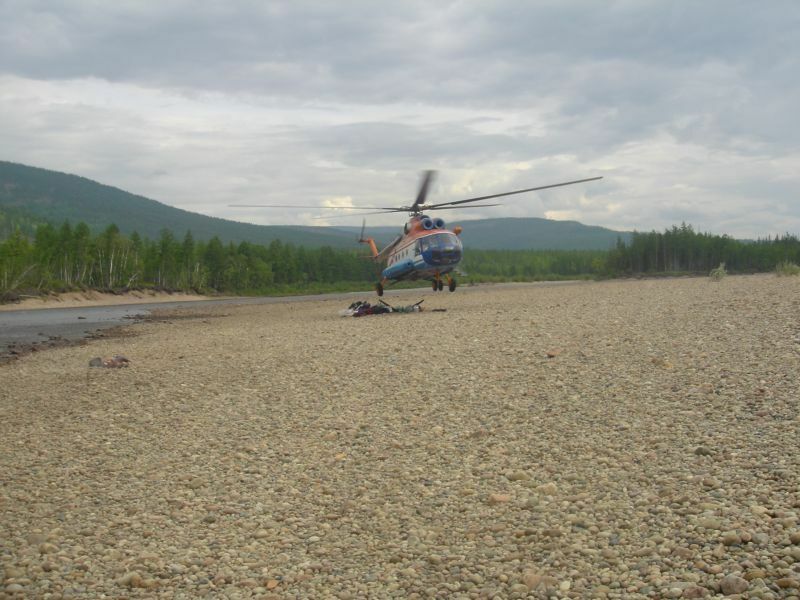 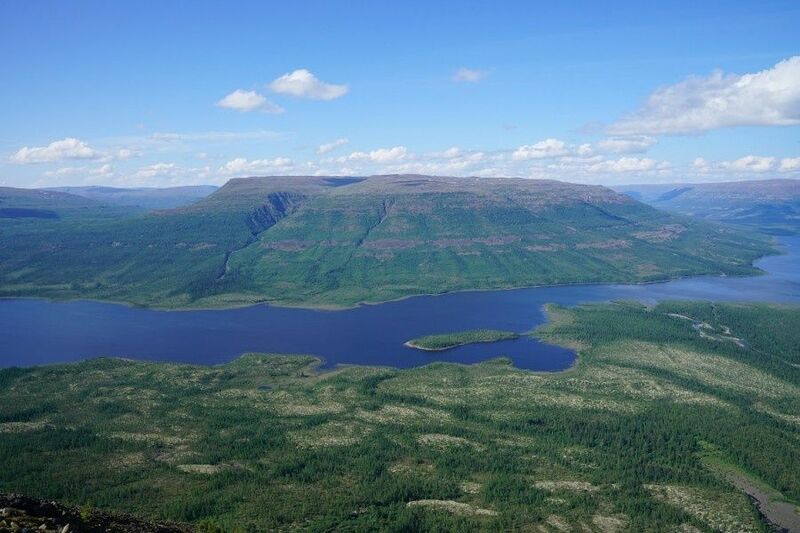 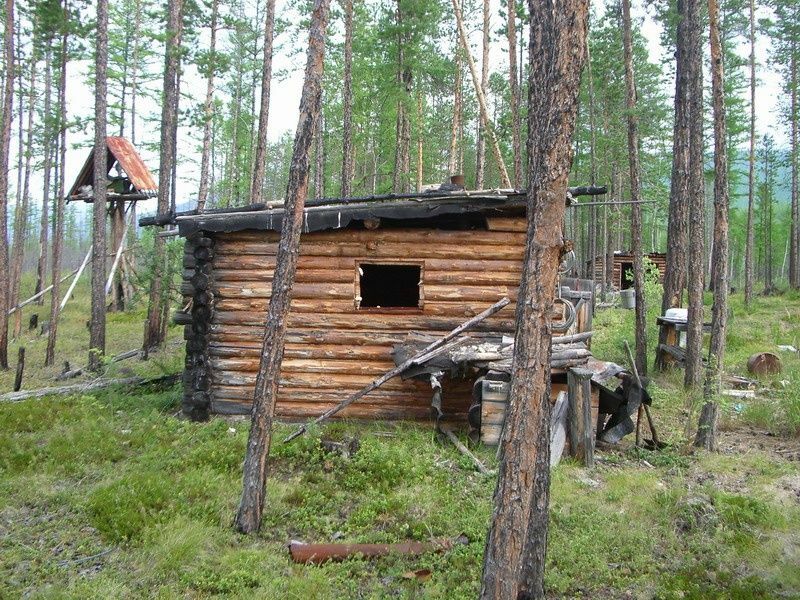 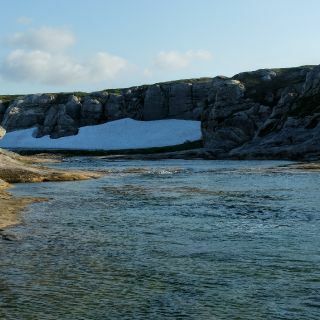 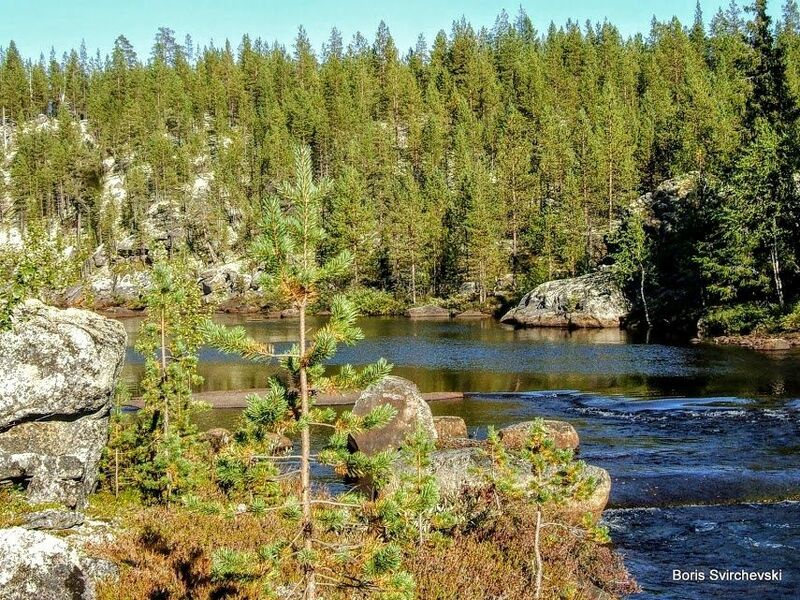 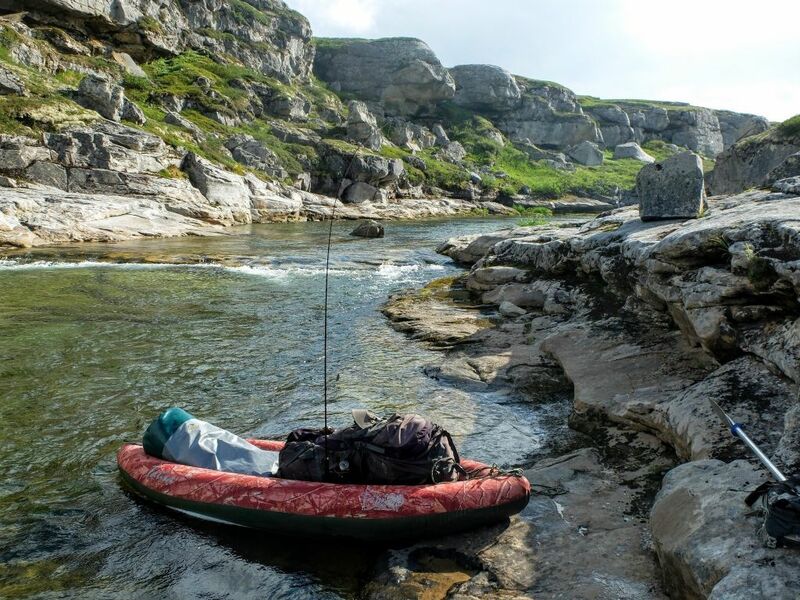 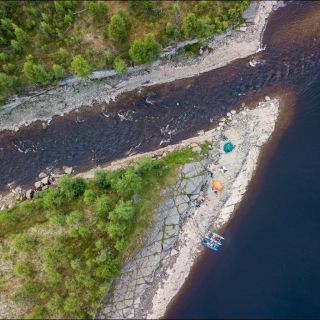 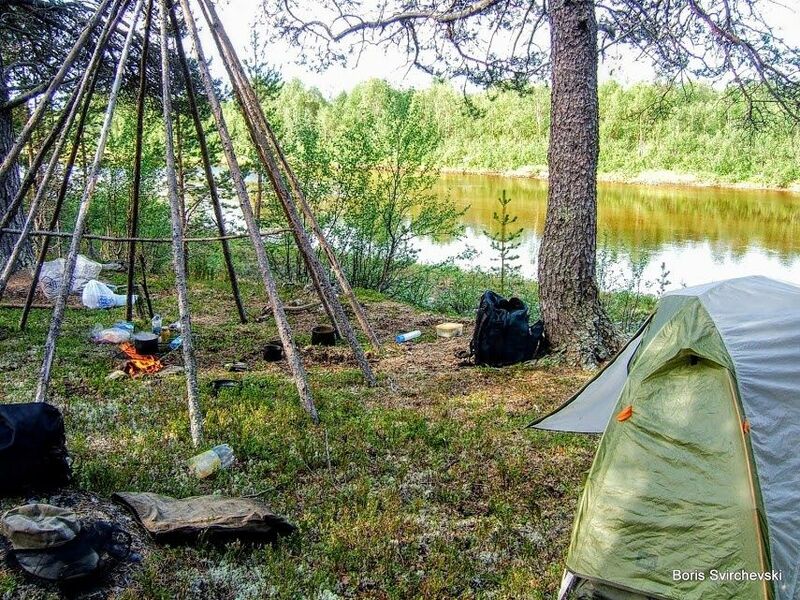 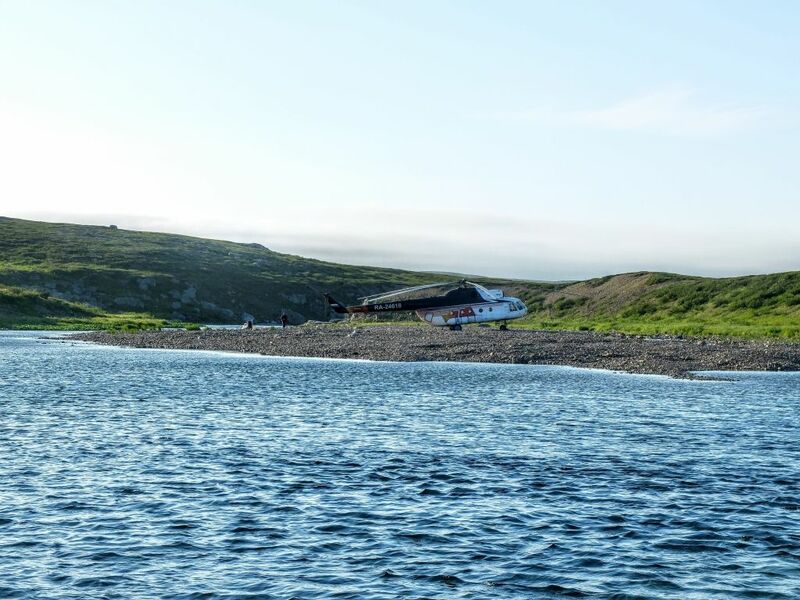 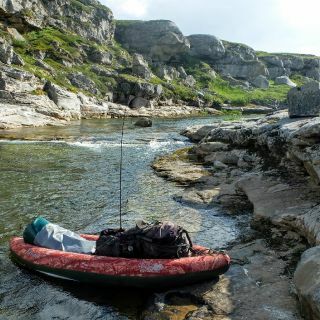 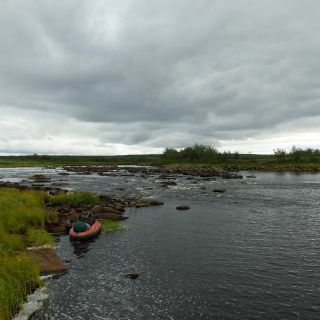 4 different tours in Kola peninsula: float trips and tent camps on remote rivers reached be helicopter: Atlantic salmon, grayling, brown trout. 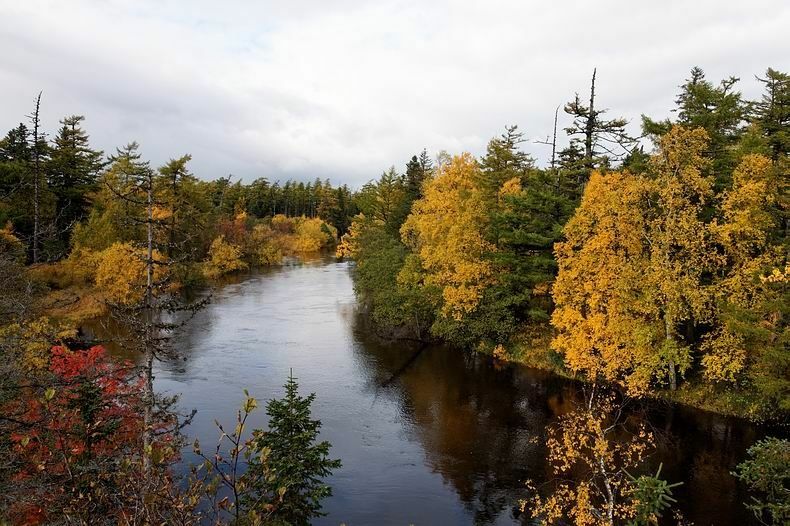 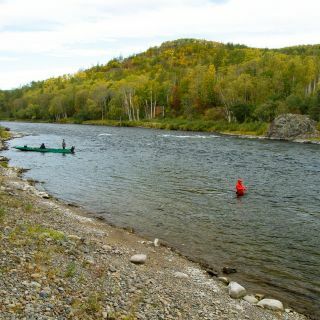 1 budget trip (reached by 4x4 SUV): 6 days (or more): Atlantic salmon fishing in a tent camp. 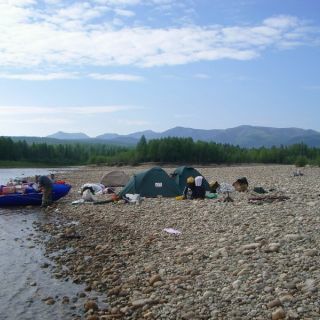 7 fishing days: float trip + 2(3) days stay in tent base camp. 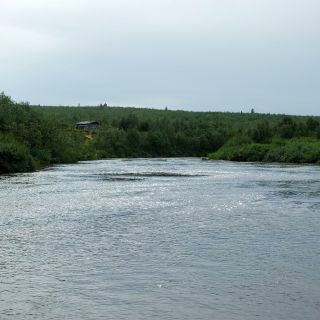 Scenic river with fish tributaries. 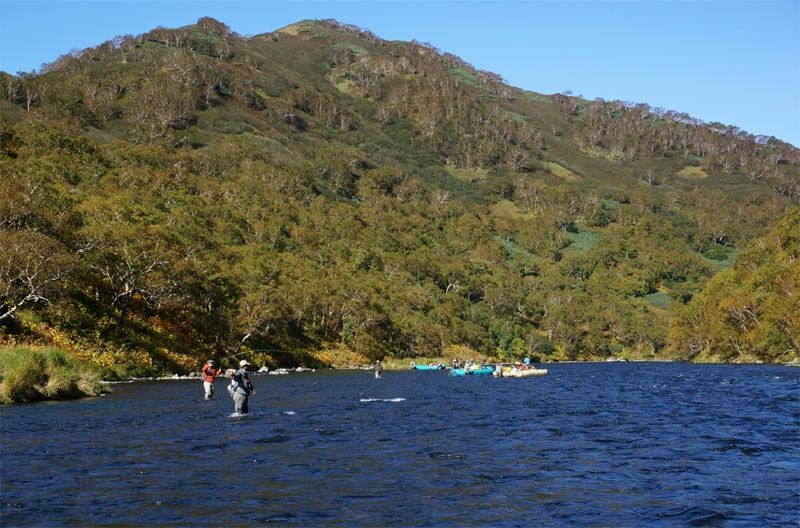 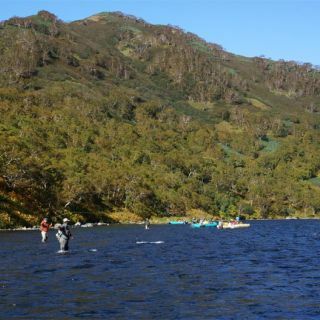 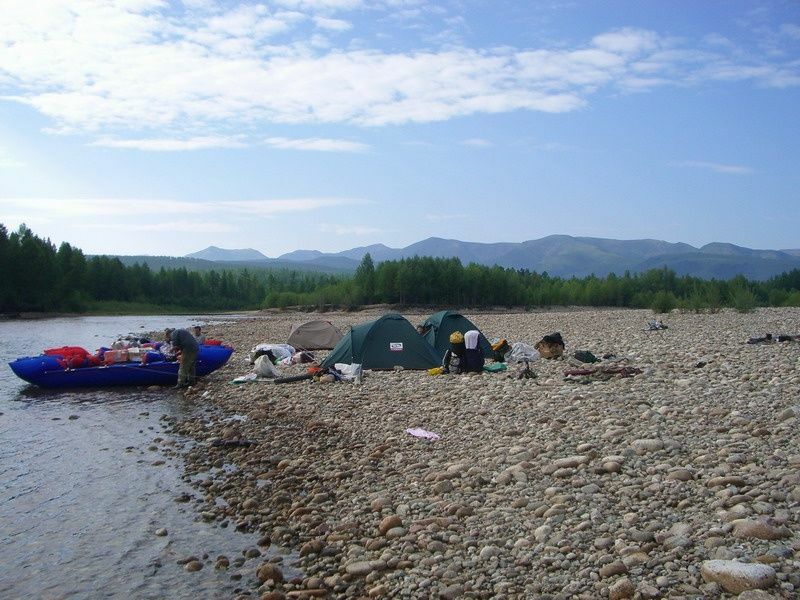 7 fishing days: stay in tent base camp (comfortable sleeping tents, cook tent, a tent for socializing) + short downriver kayaking or hiking at the end of the tour. 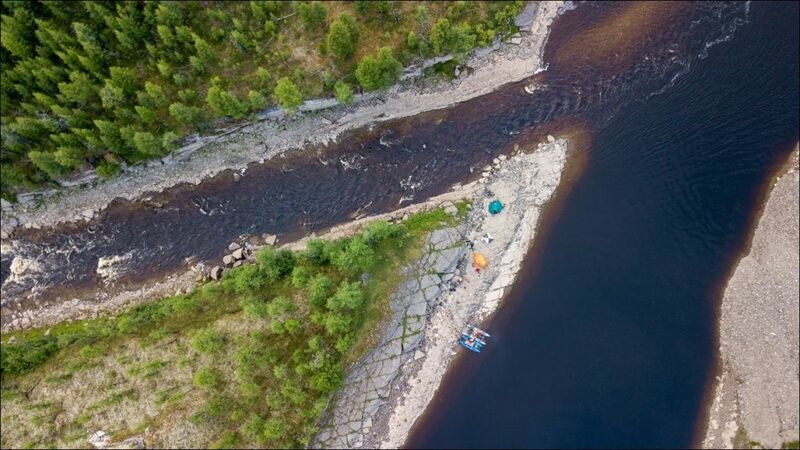 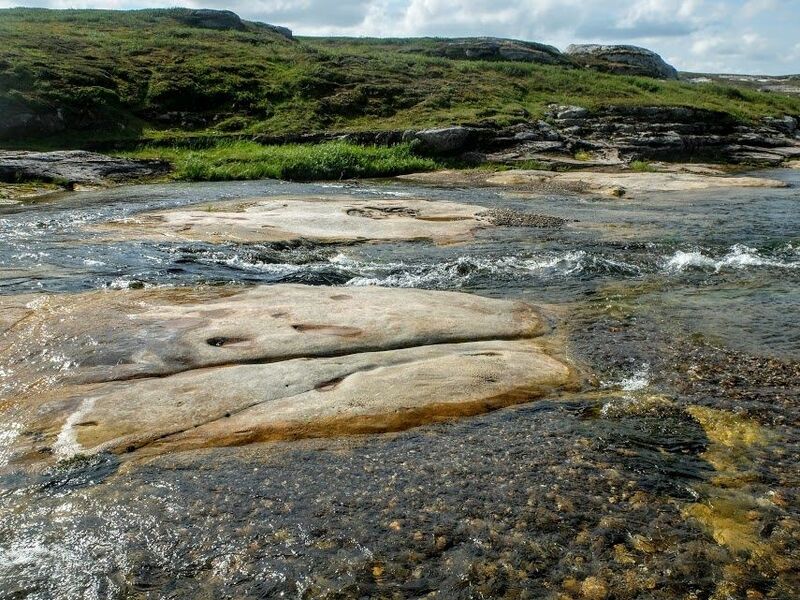 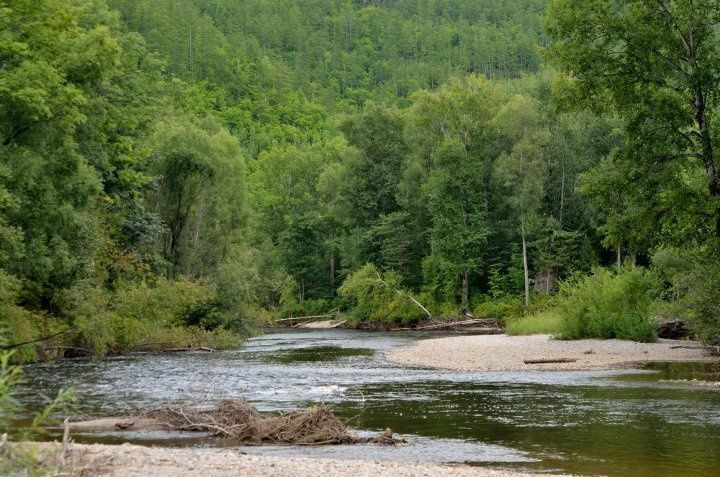 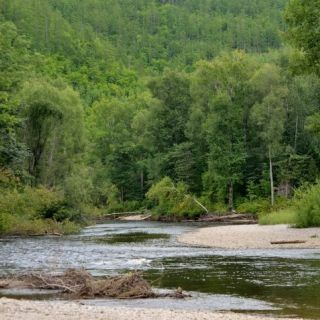 7 fishing days: float trip + stay in a tent base camp on a very pleasant river rich of big (up to 4 kg) brown trout. 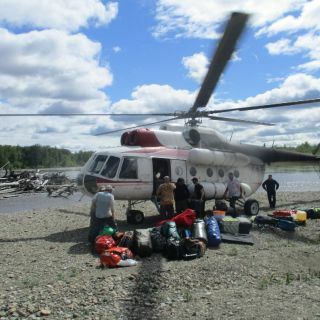 Also, we have a choice for the same destinations (tours) with using of light helicopters (2-5 pax) with lower flight cost in comparison with medium MI-8 helicopter. 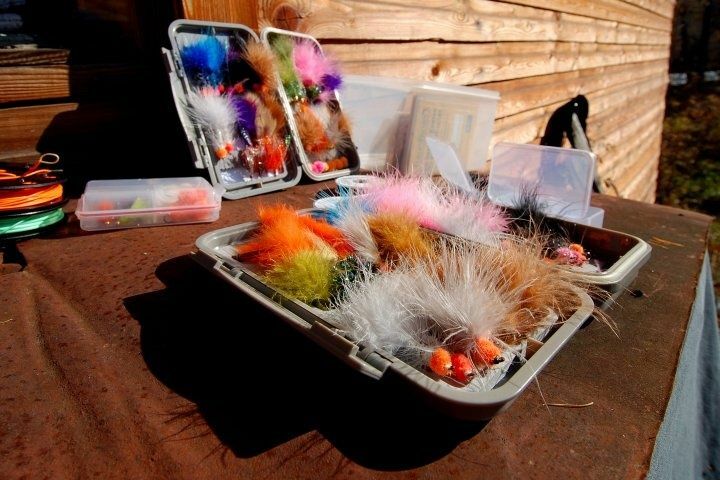 That's could be suited for individual or small group fishermen. 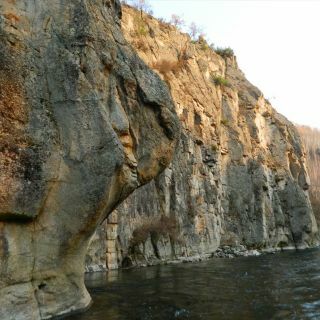 For more details PM, please. 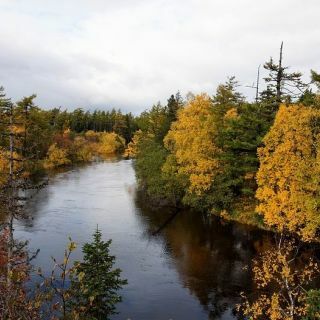 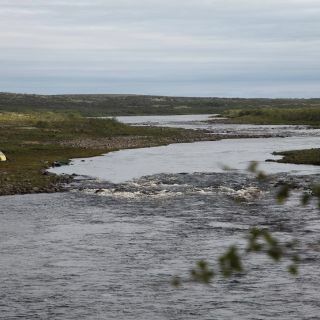 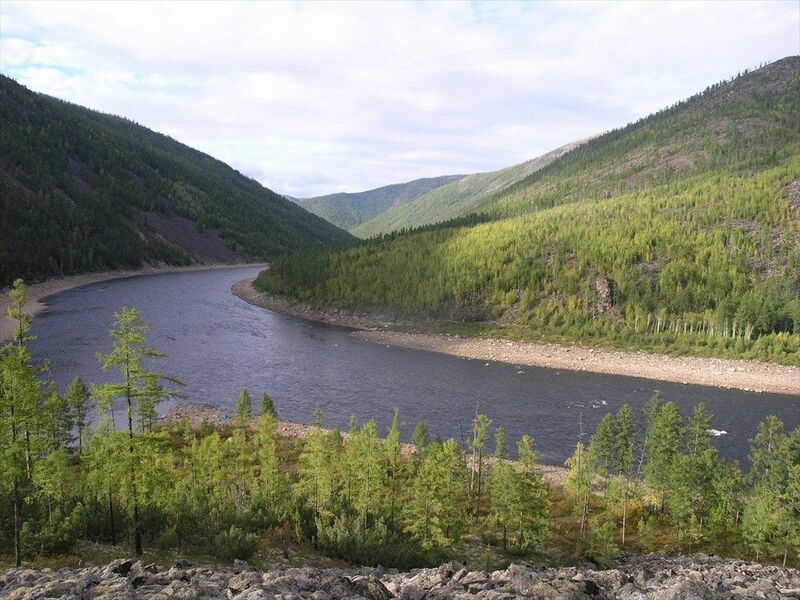 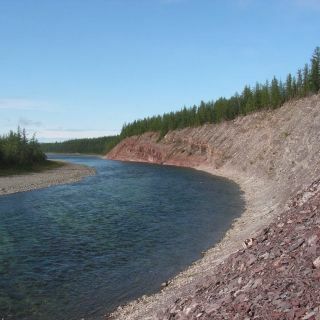 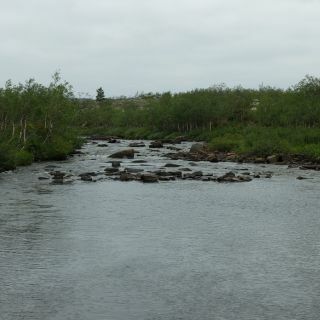 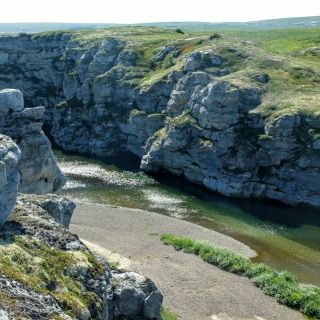 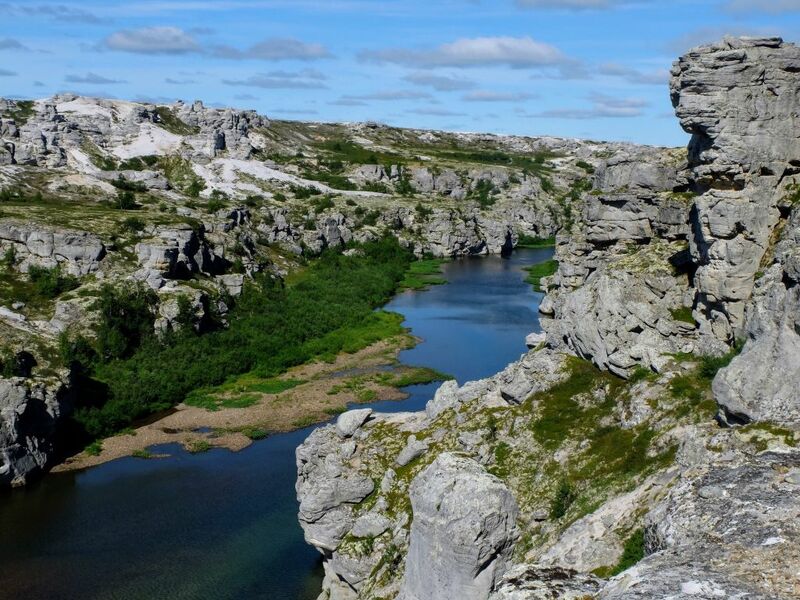 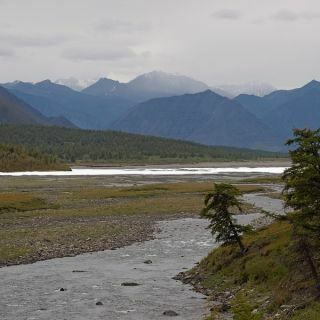 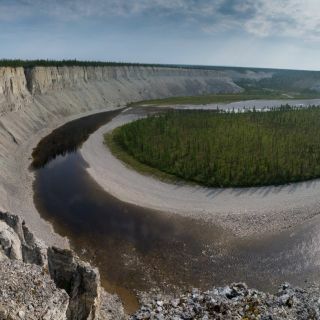 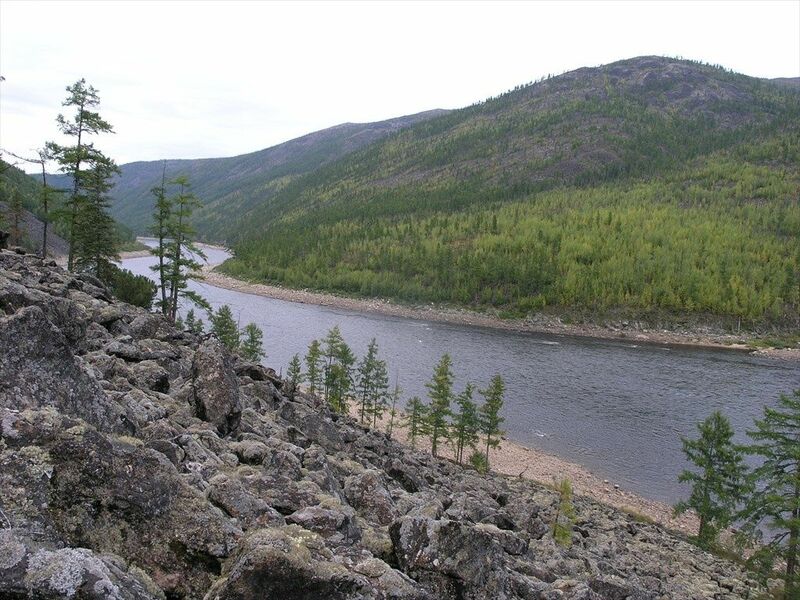 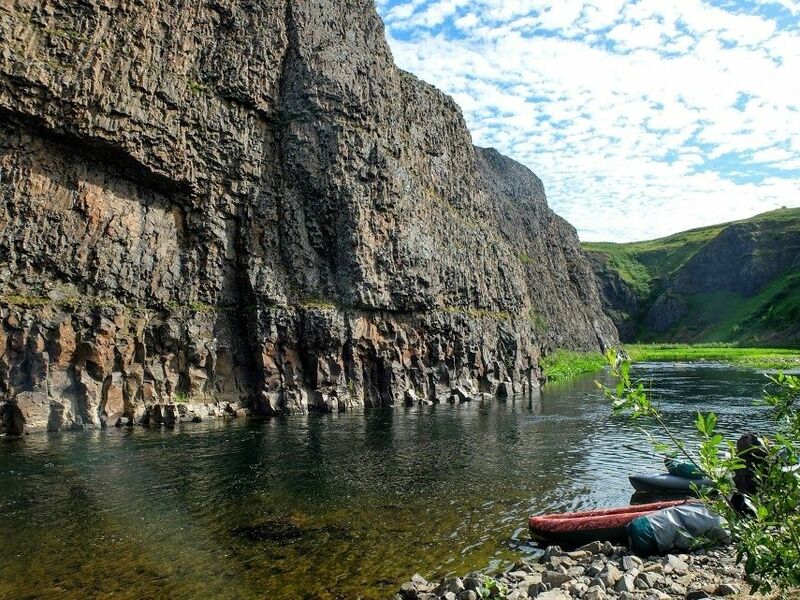 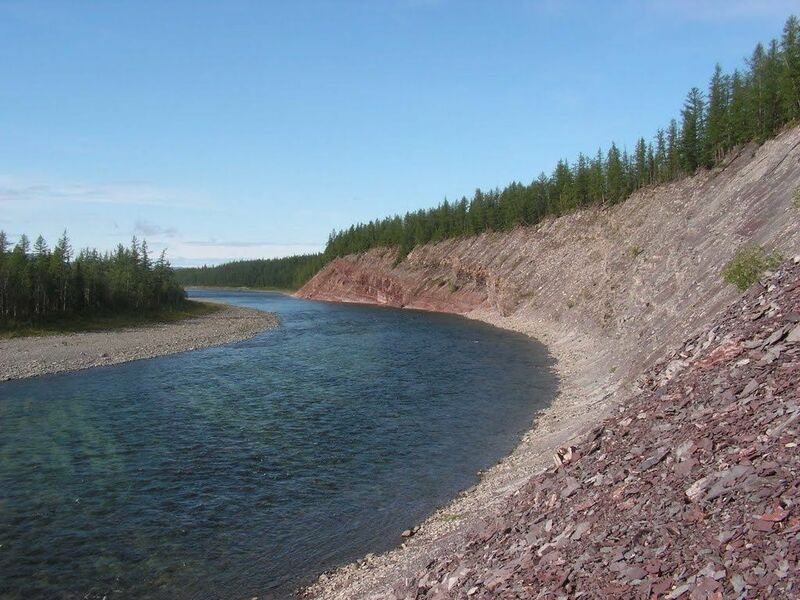 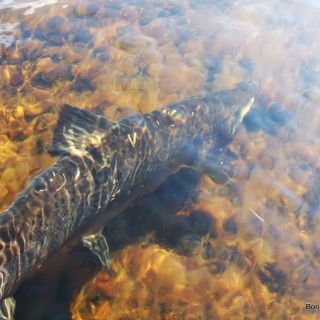 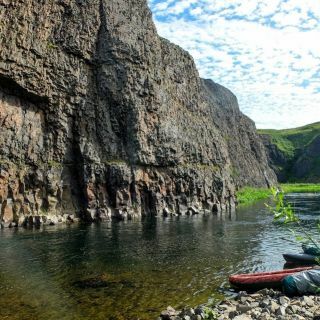 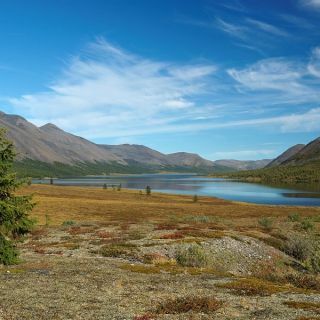 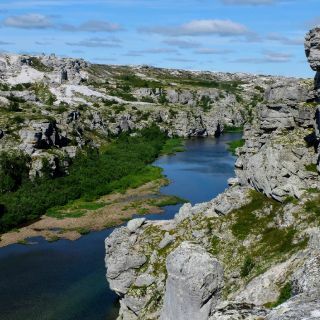 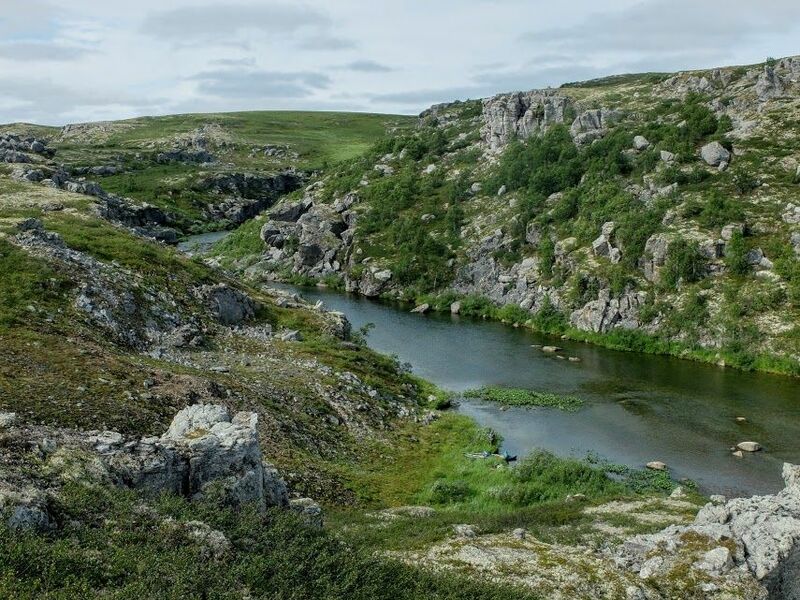 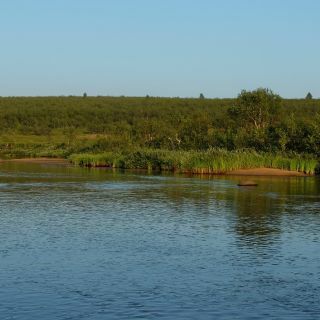 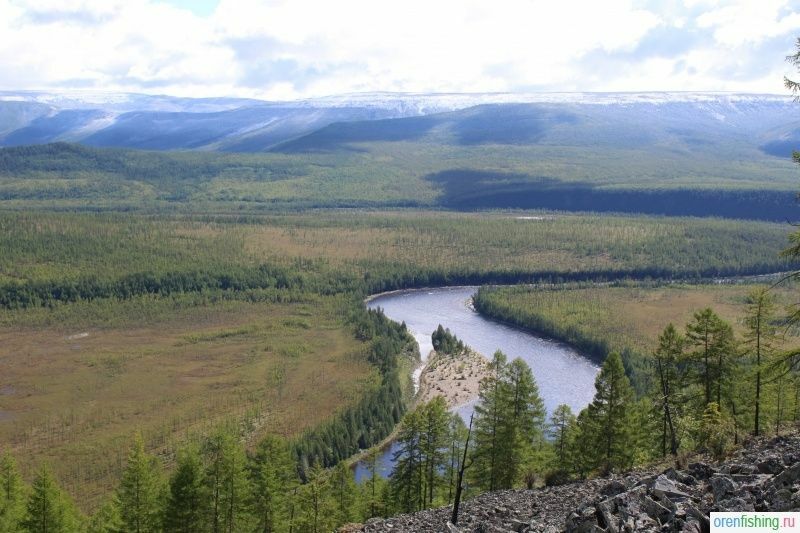 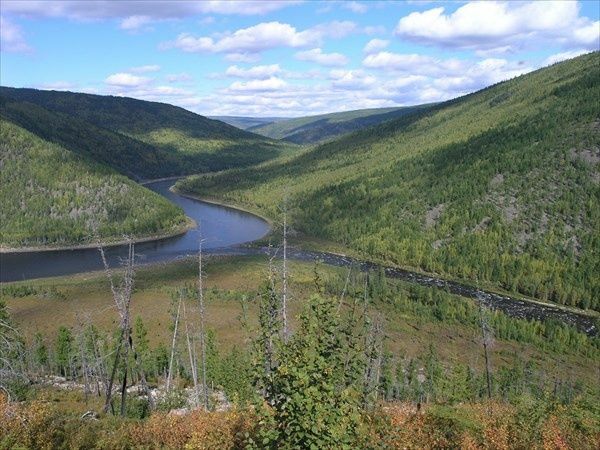 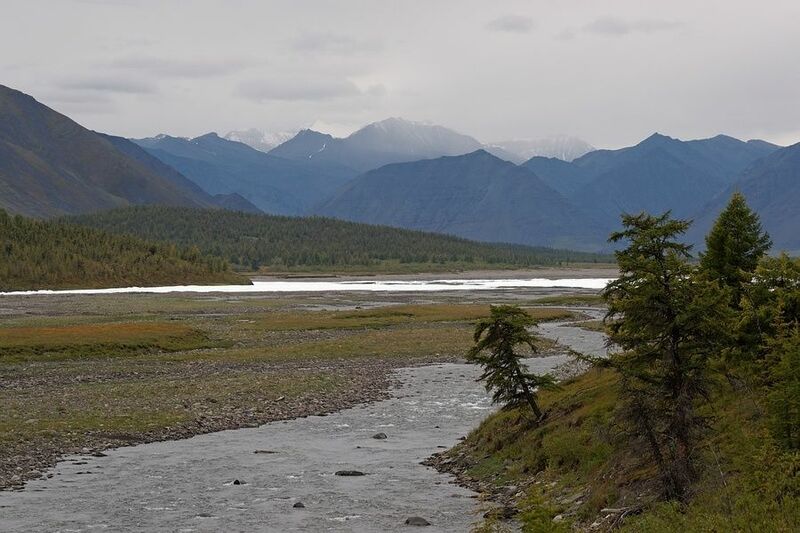 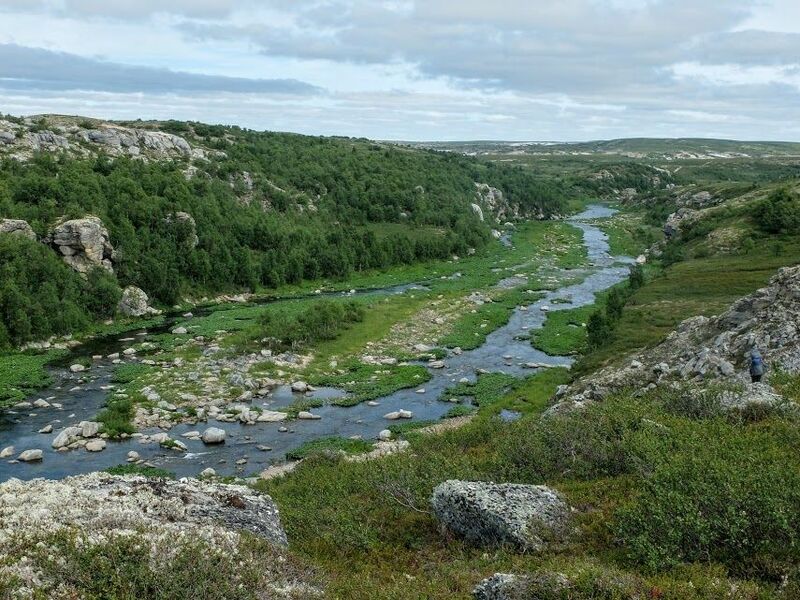 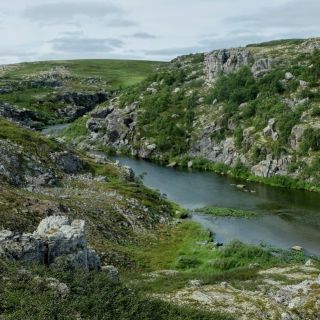 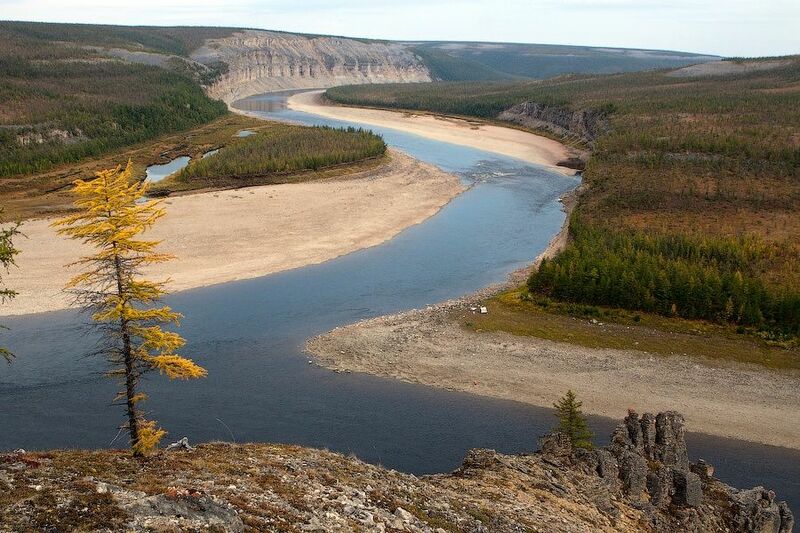 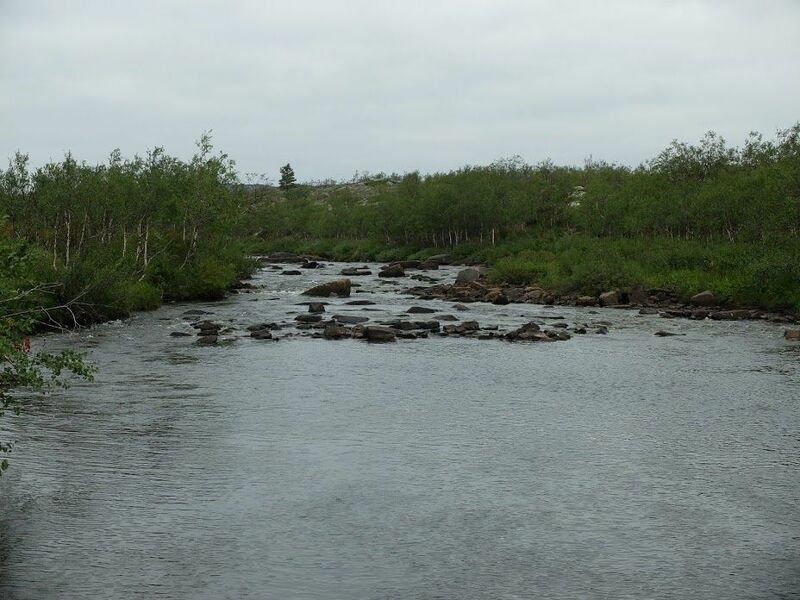 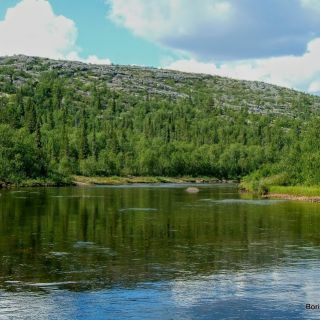 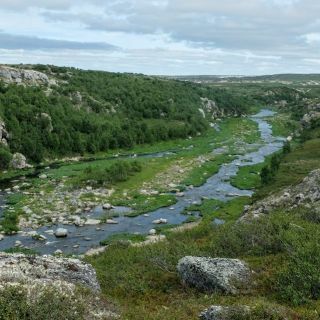 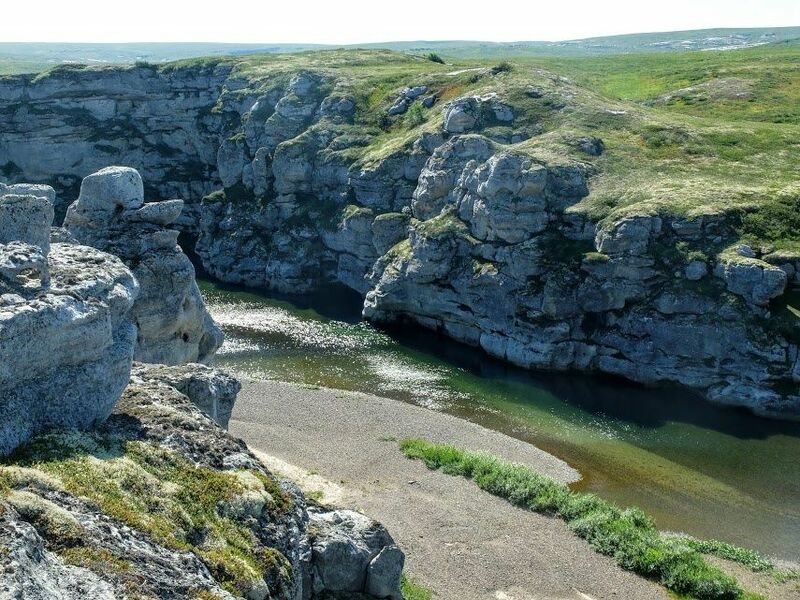 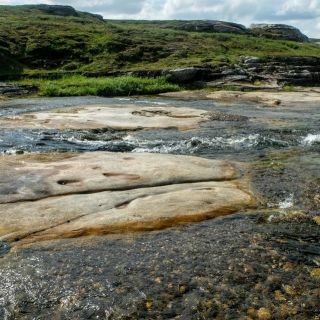 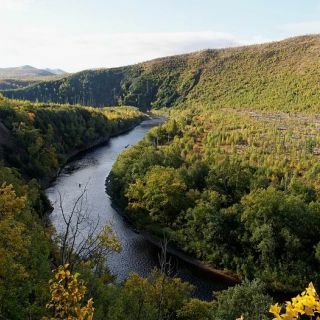 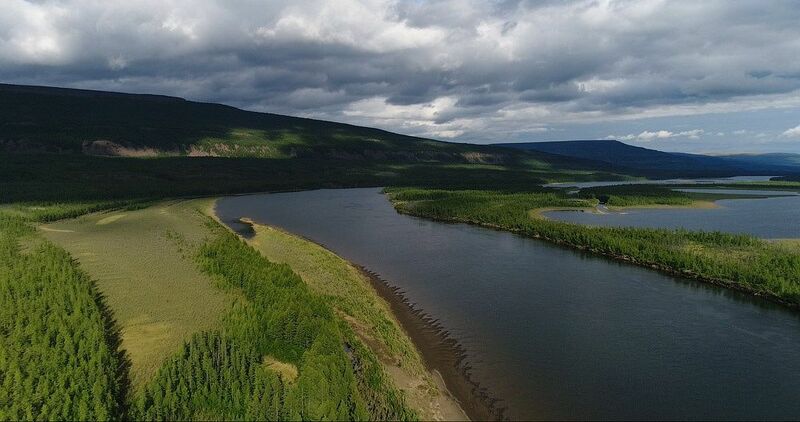 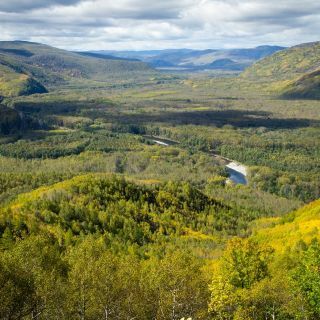 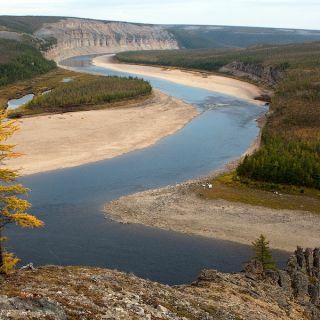 The best river in the Russian Arctic: magnificent canyons, unique diversity of species: Atlantic salmon, brown trout, sea trout, Arctic char, grayling, pink salmon. 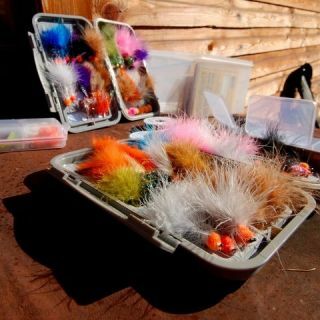 For more details, please, PM. 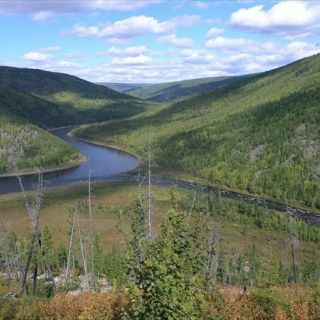 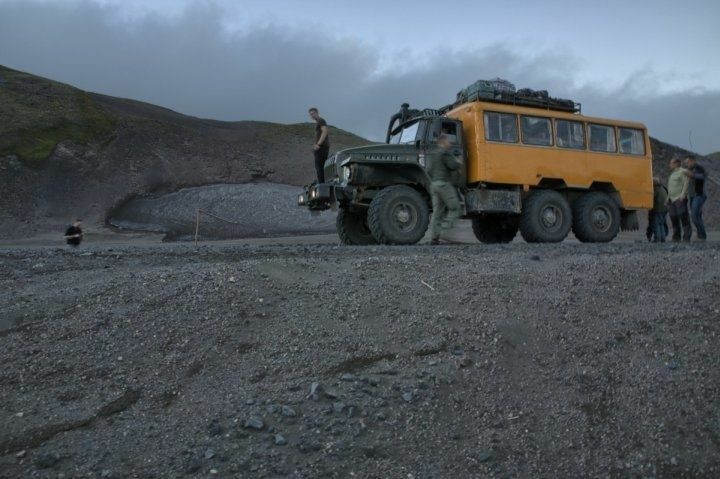 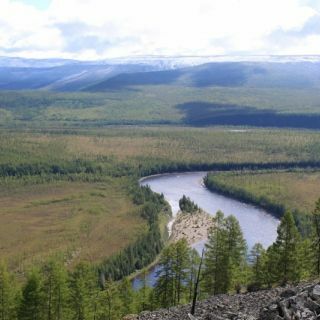 Three expedition-style tours in Evenkiya (Eastern Siberia), one of the wildest and remote regions of Russia. 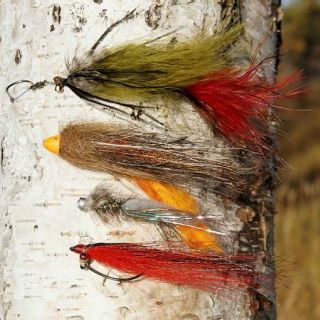 Trophy size Taimen, Lenok trout, Grayling, Pike. 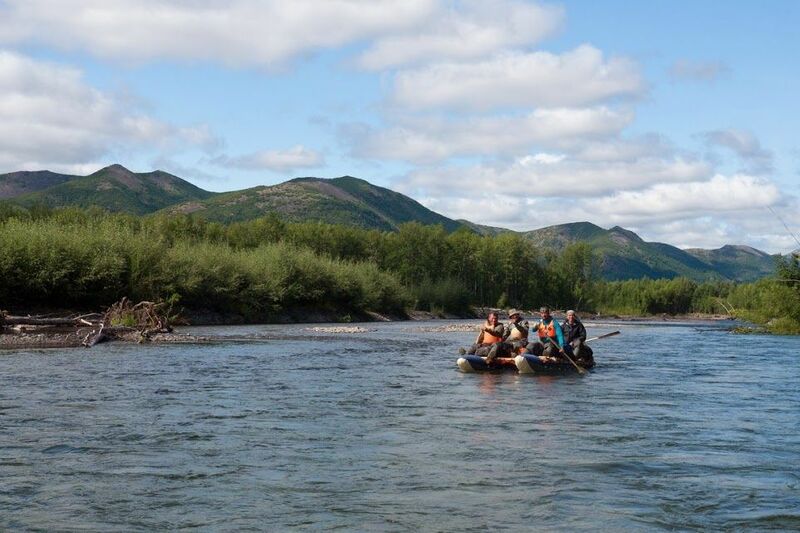 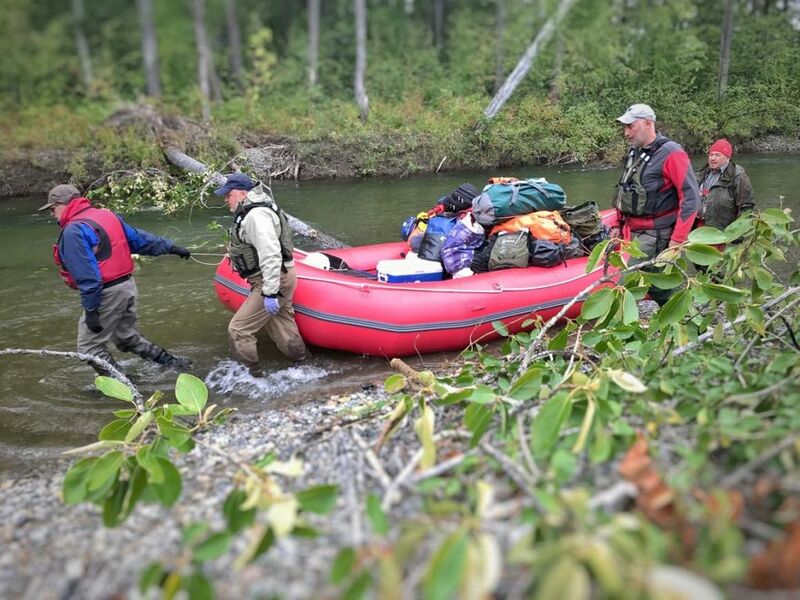 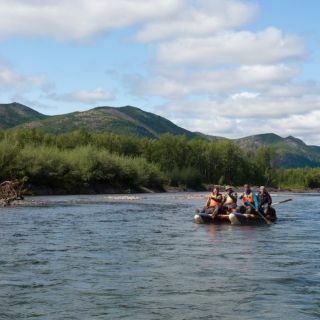 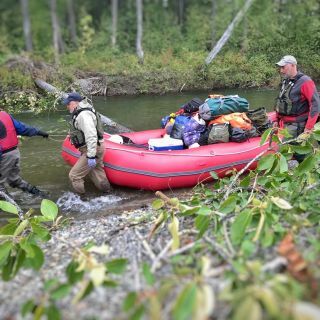 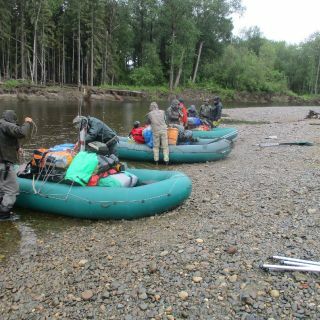 A floating trip on remote unfrequented rivers in central Evenkiya. 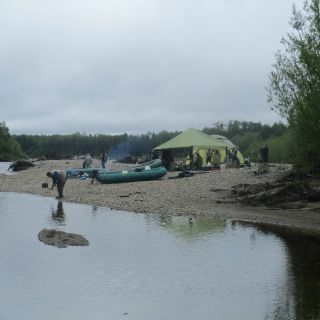 14 days downriver rafting through taiga forests, some rapids. 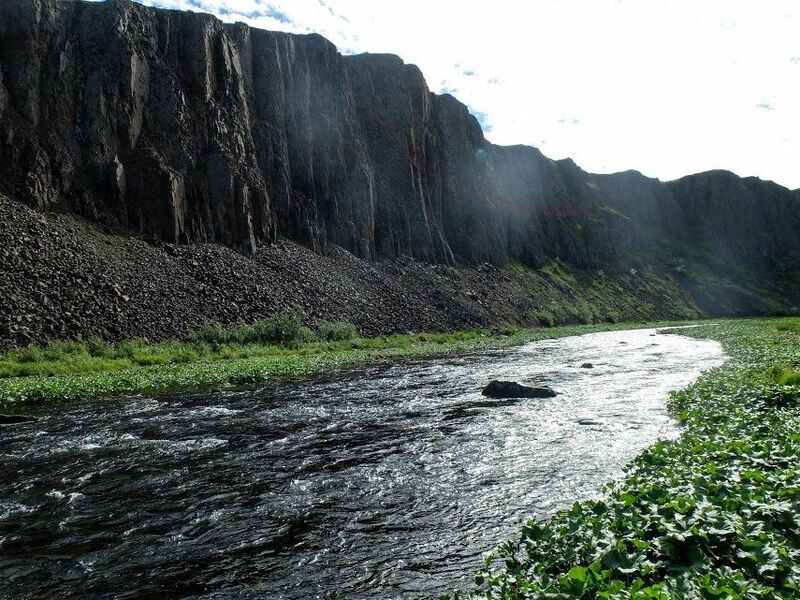 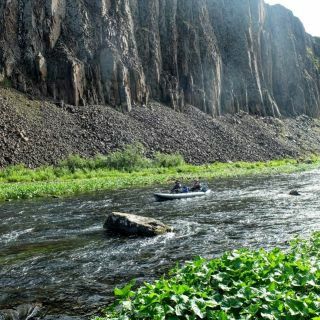 14 days rafting at northern Evenkiya and south Taimyr region borderline. 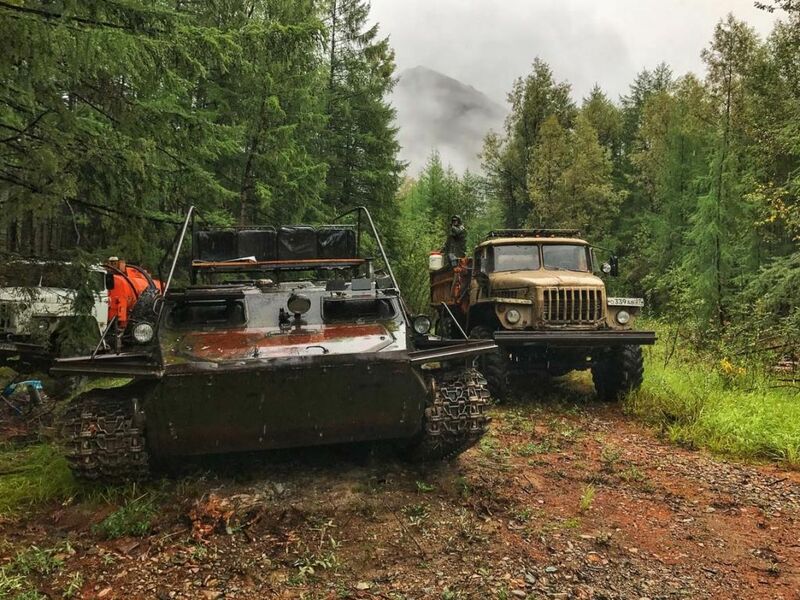 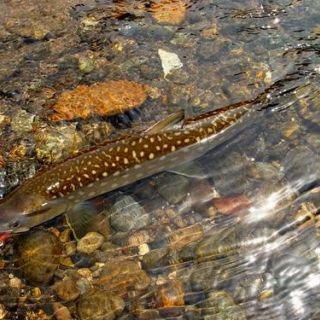 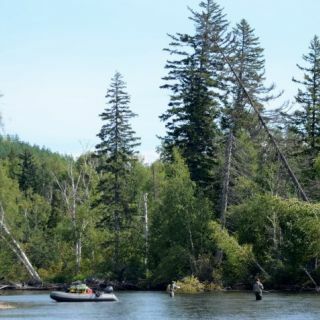 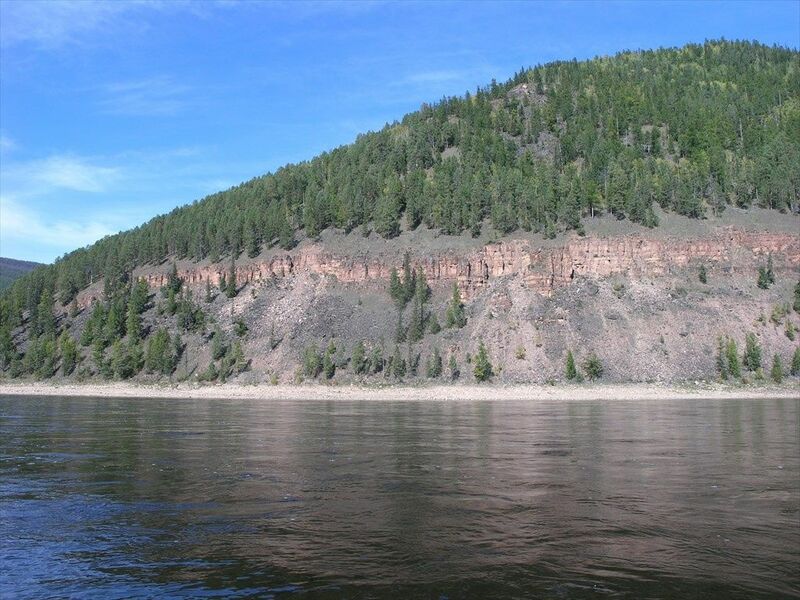 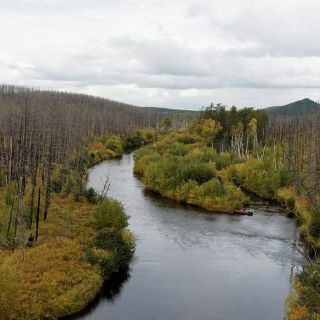 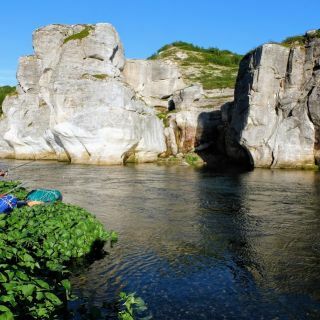 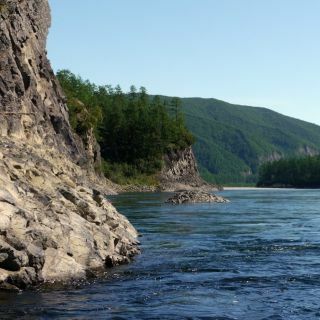 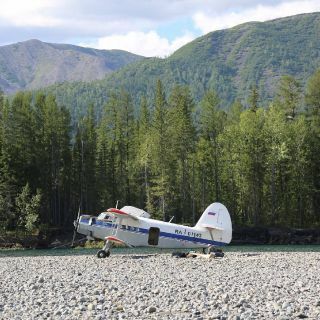 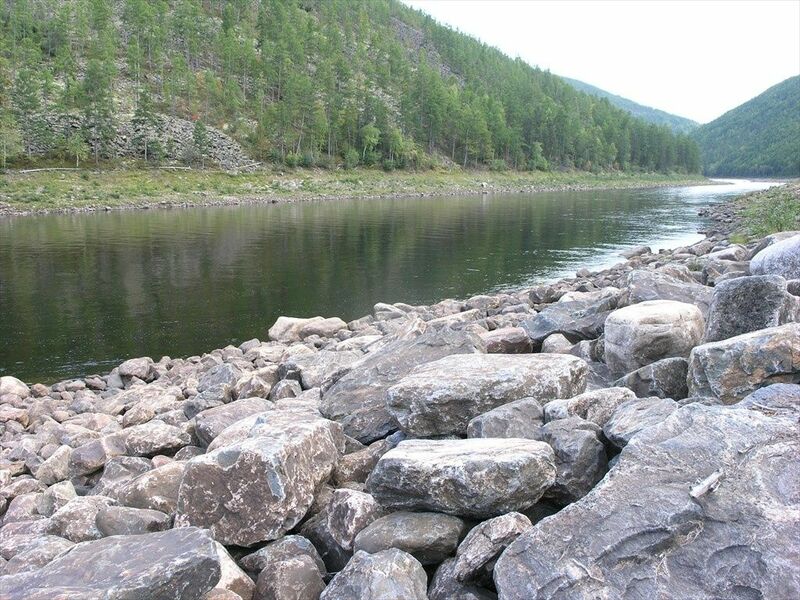 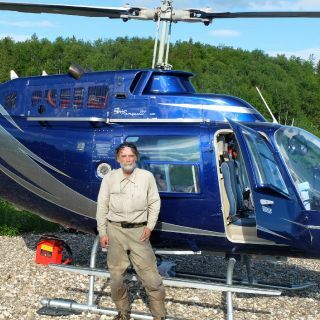 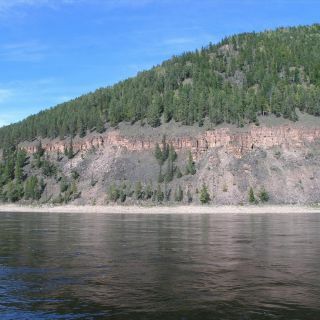 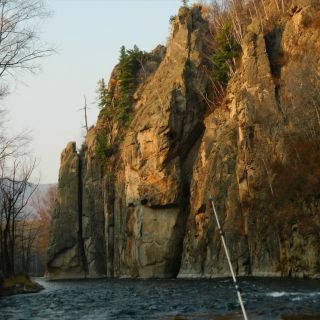 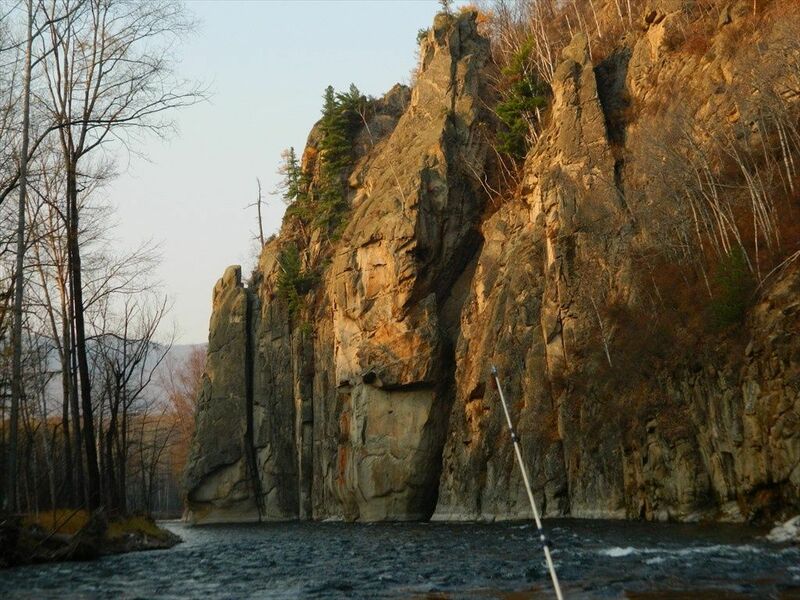 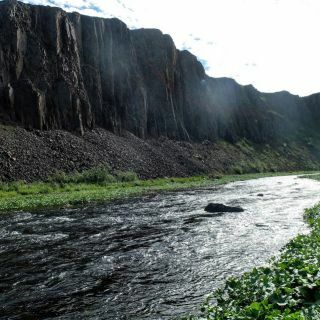 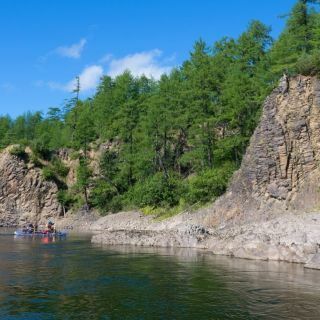 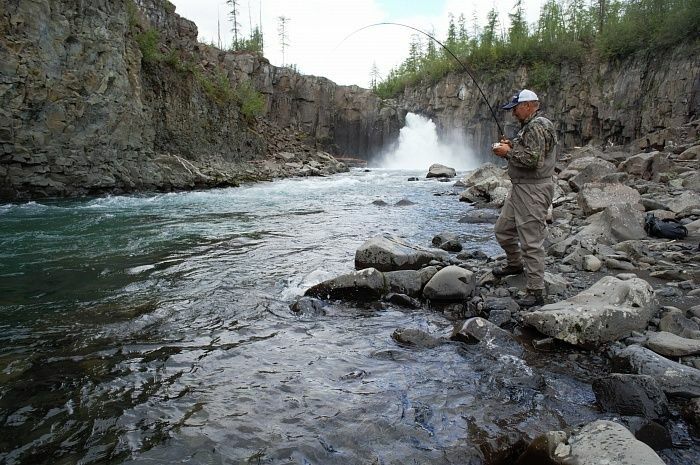 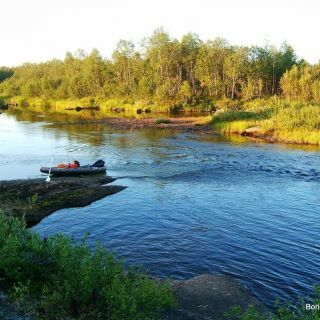 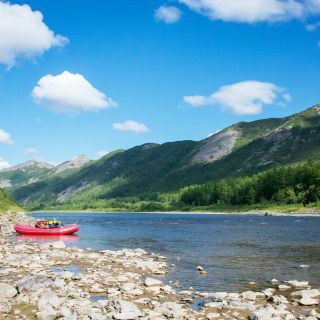 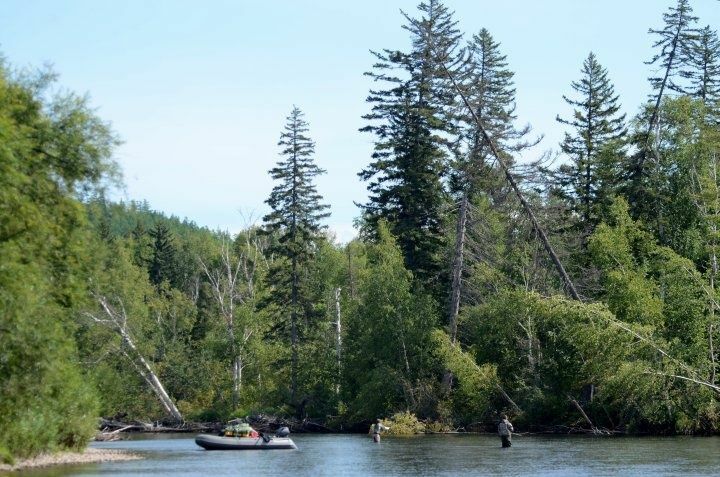 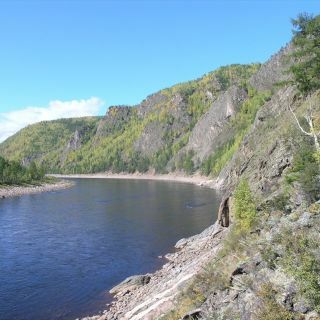 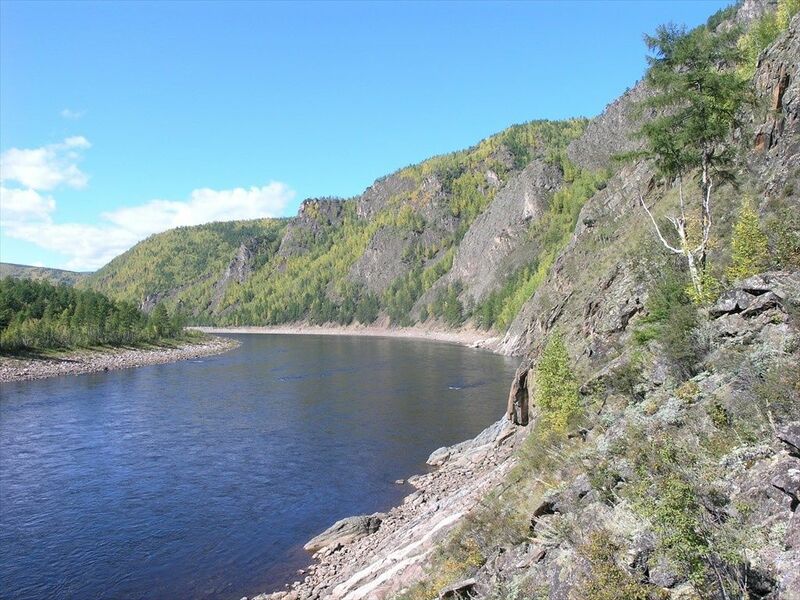 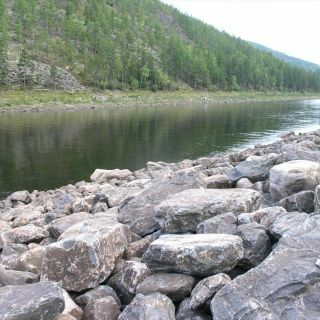 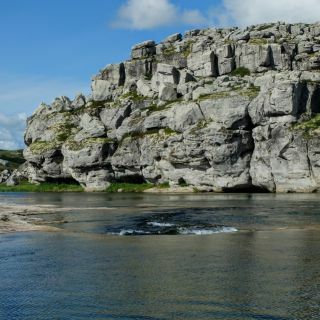 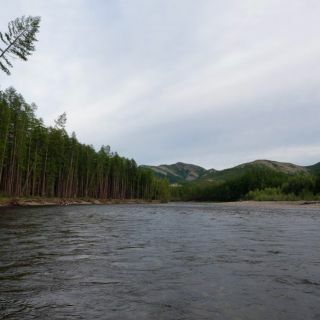 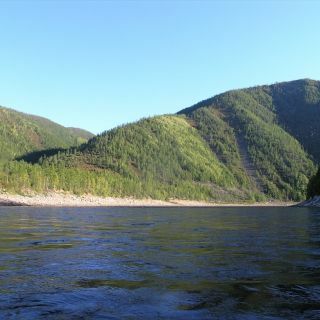 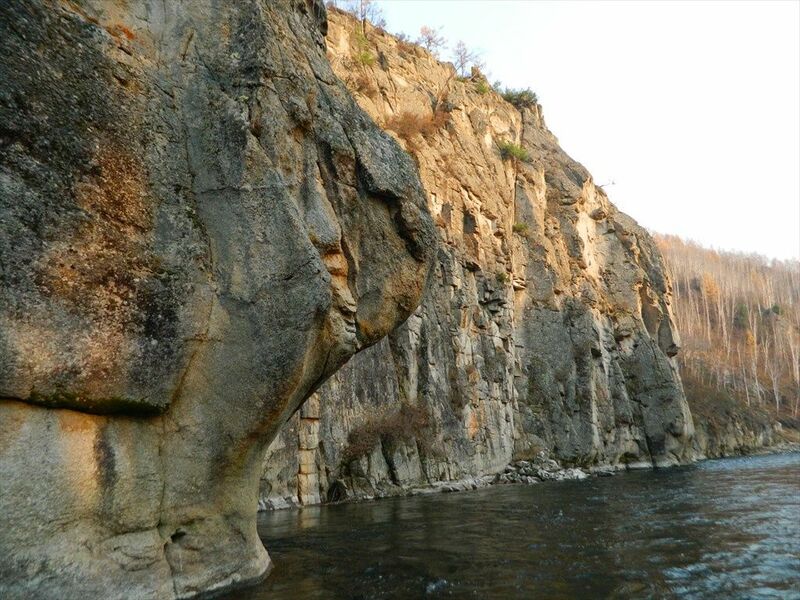 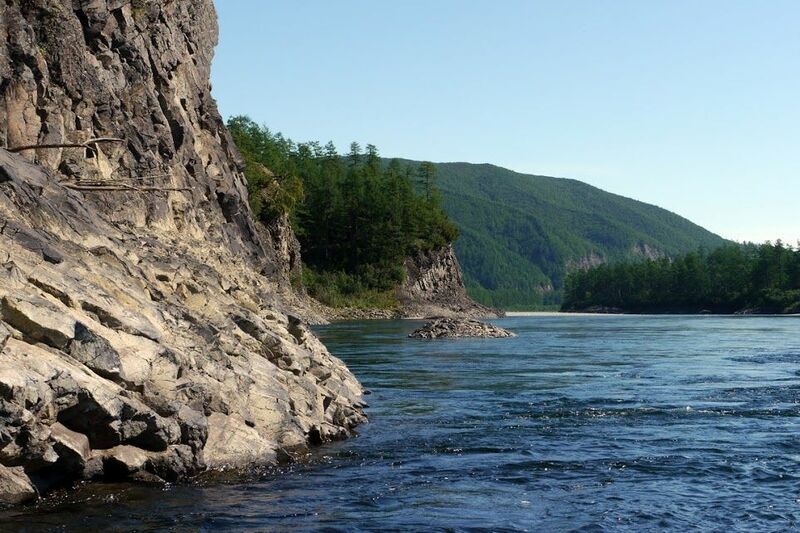 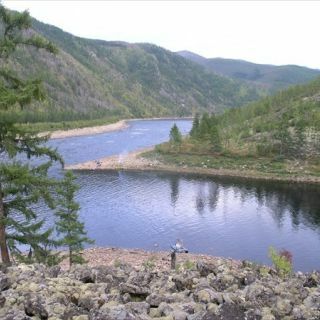 18 fishing d View more...ays and 450 km downriver on board of motor raft on very remote scenic rivers in north-eastern Evenkiya: impressive rock walls down by the riverside, waterfalls, and rapids, taiga forests, crystal cold water tributaries with trophy size taimen. 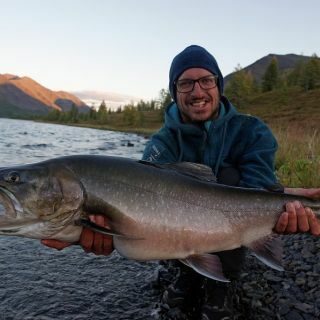 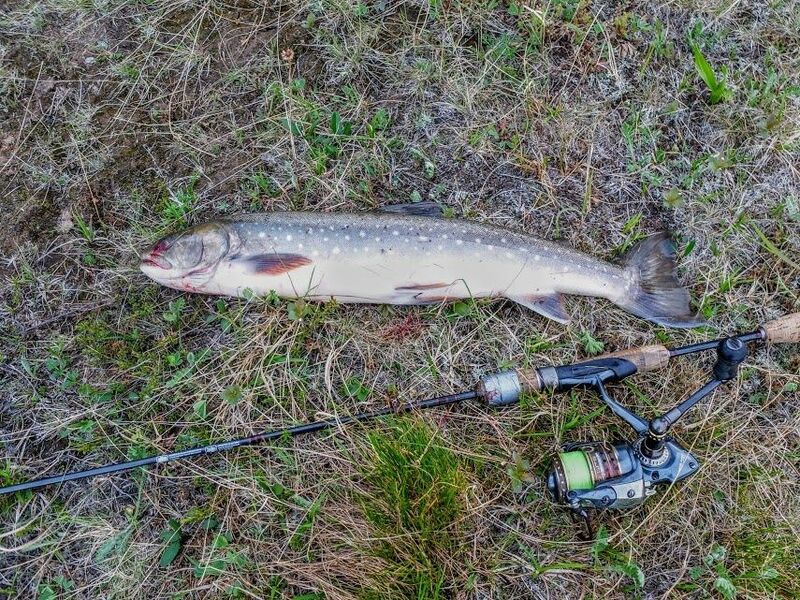 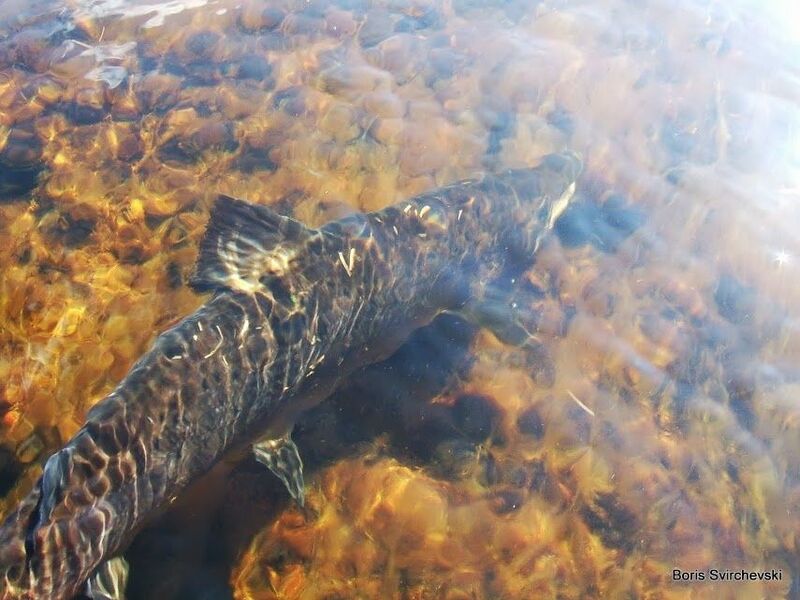 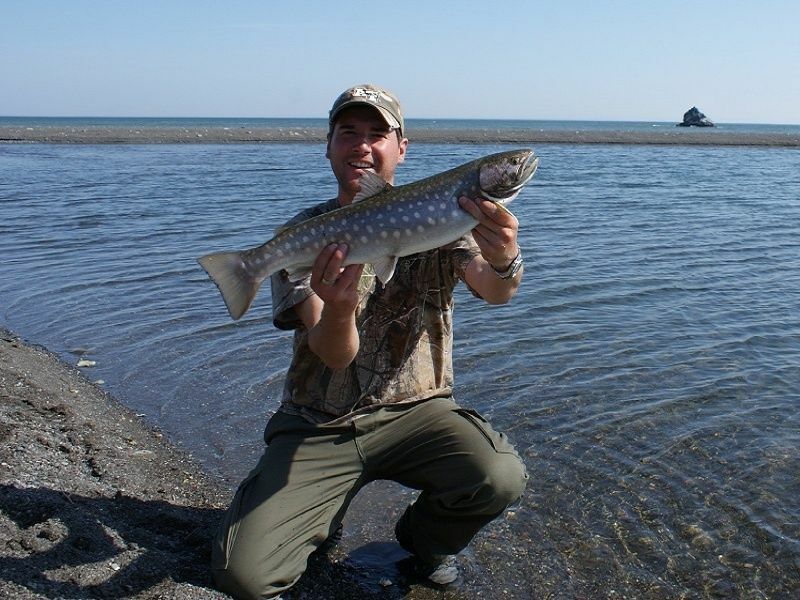 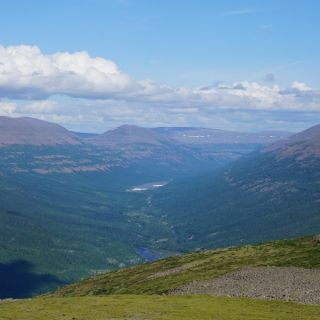 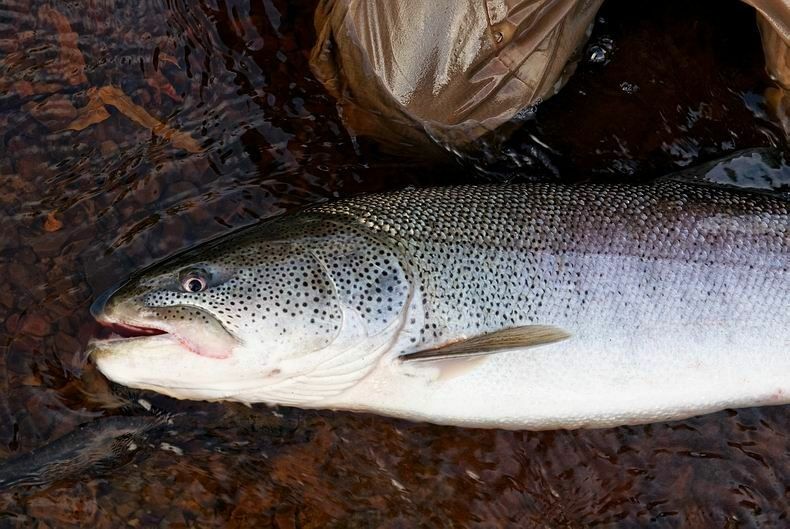 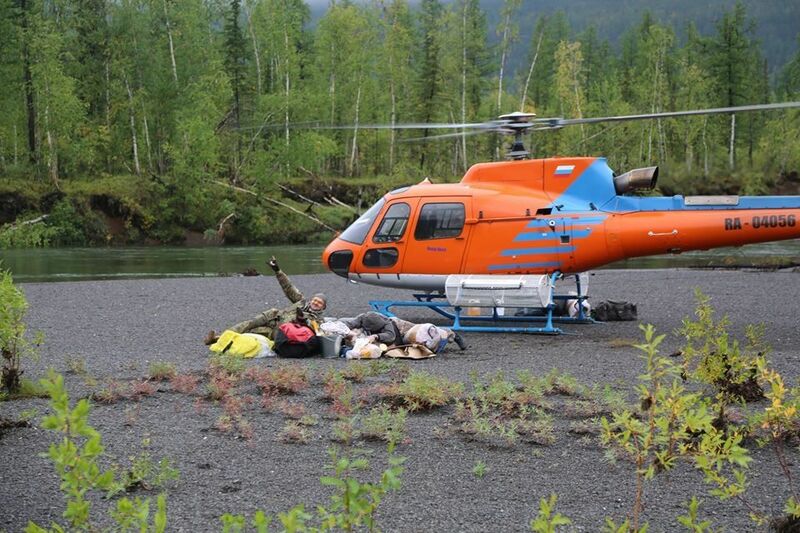 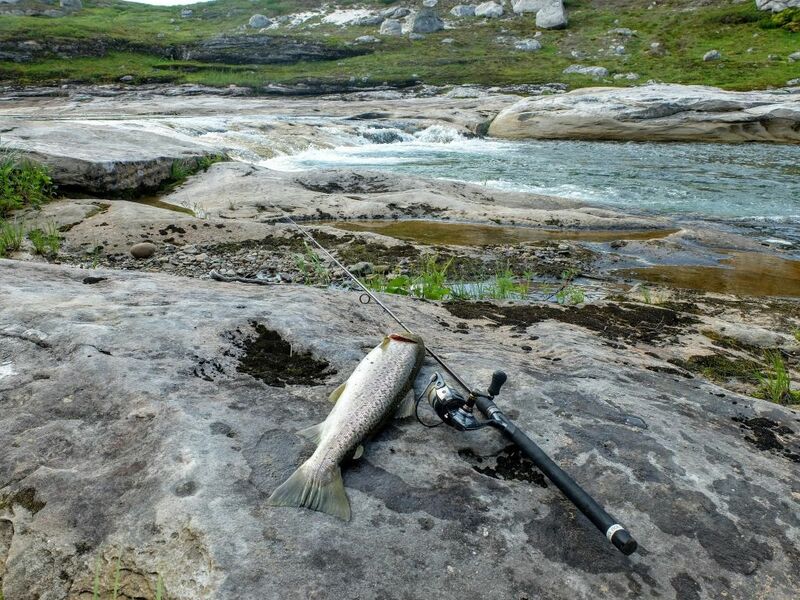 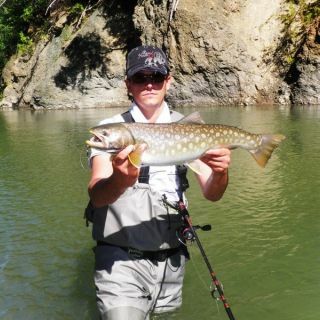 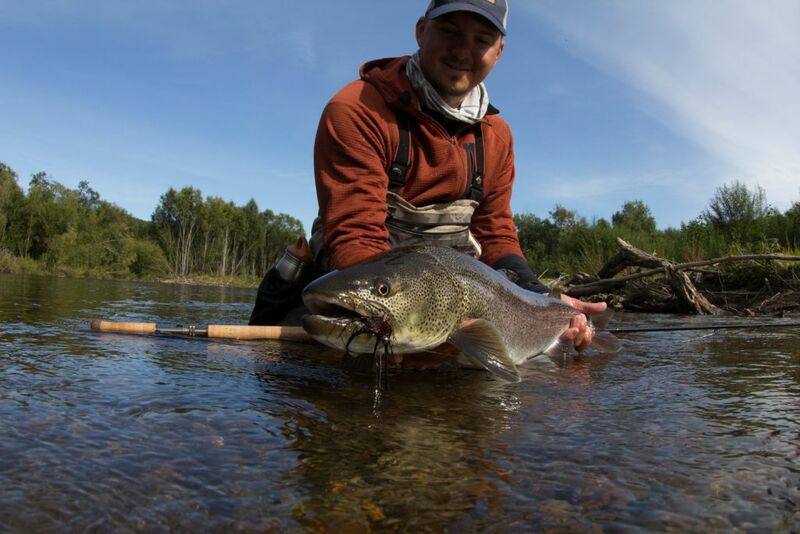 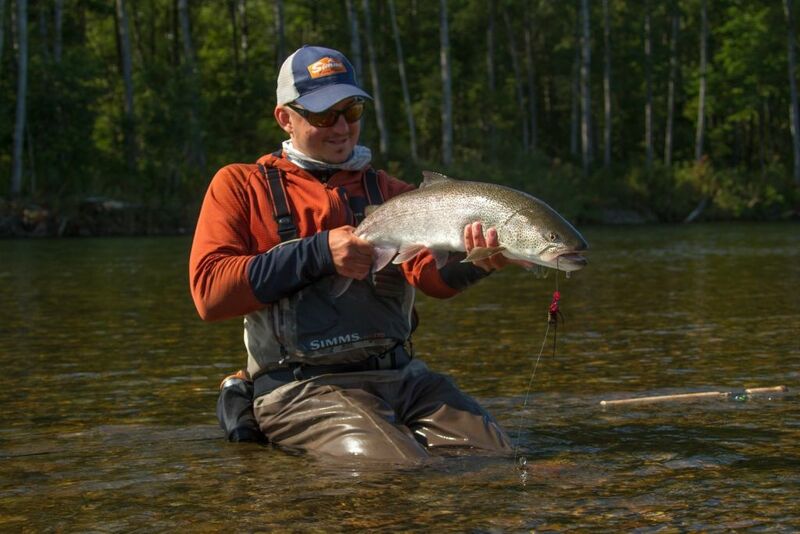 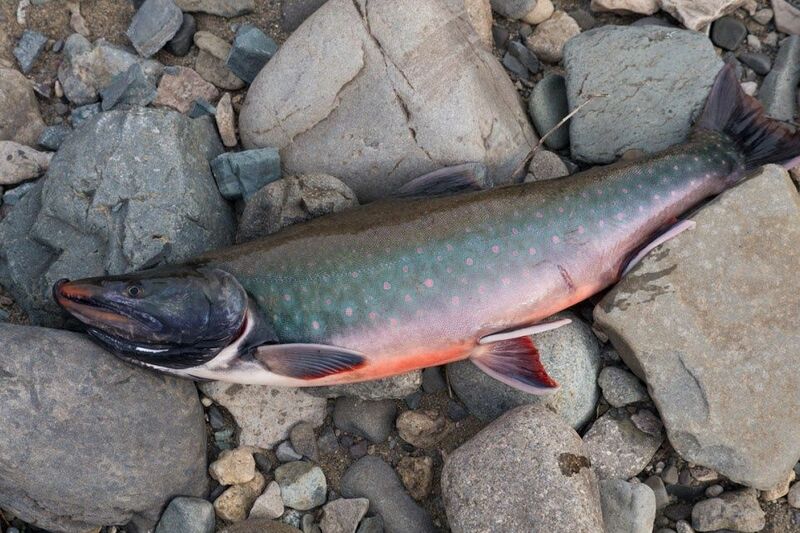 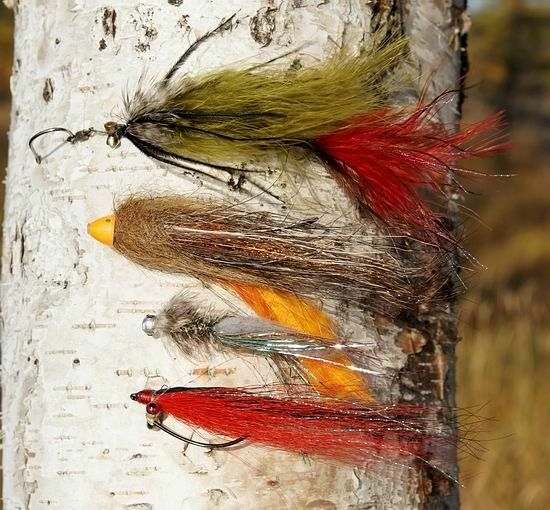 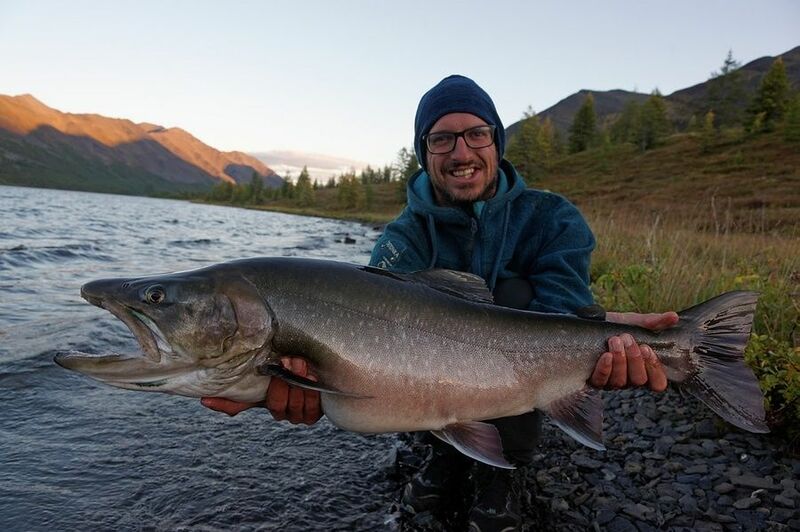 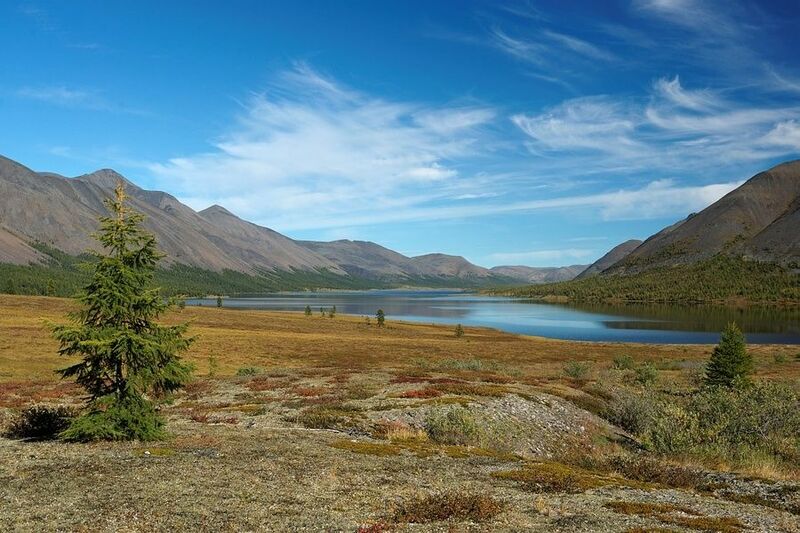 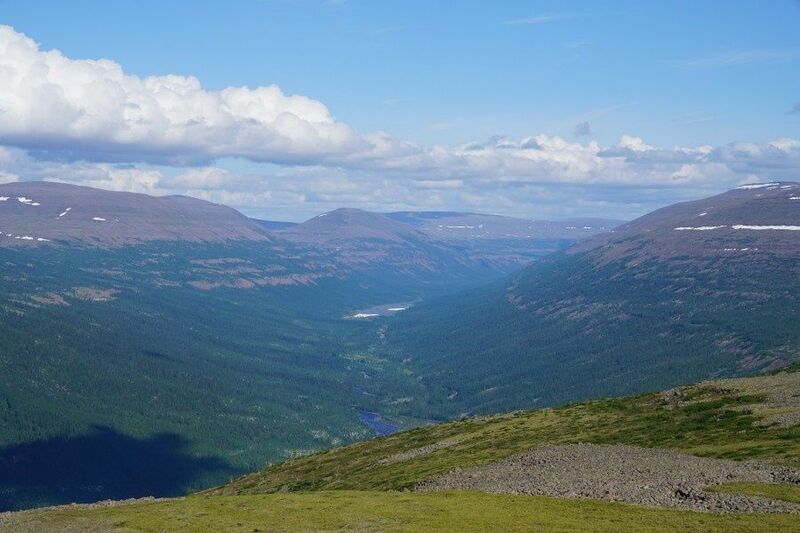 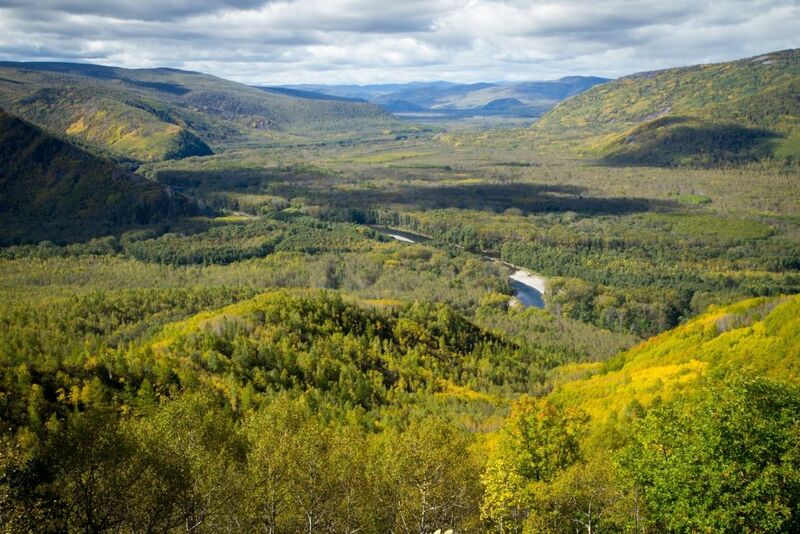 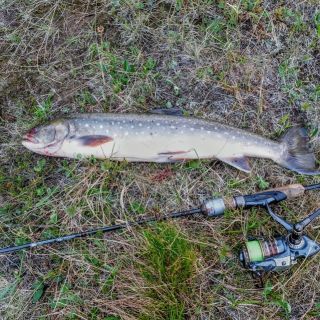 Three tours for Taimen, Lenok trout, and Arctic char fishing. 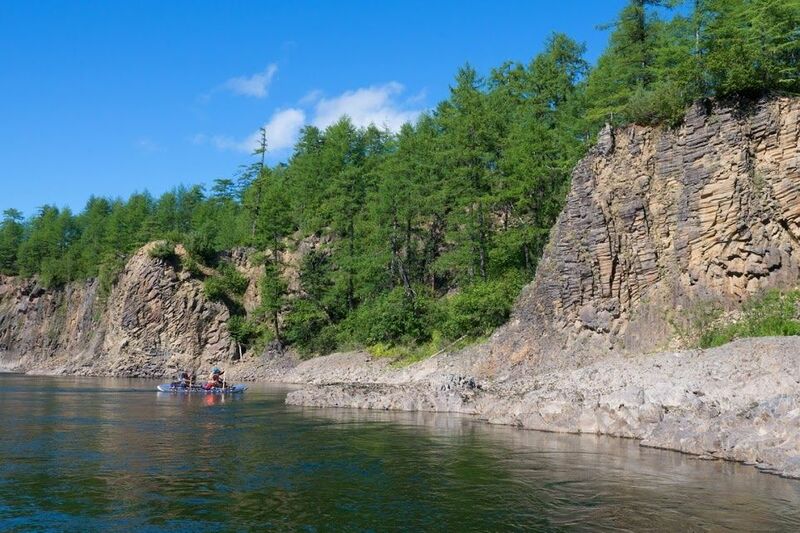 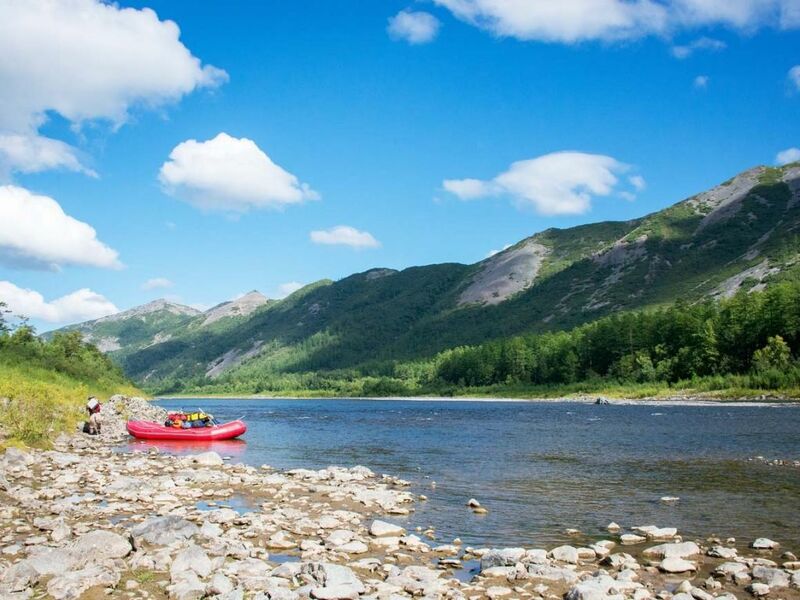 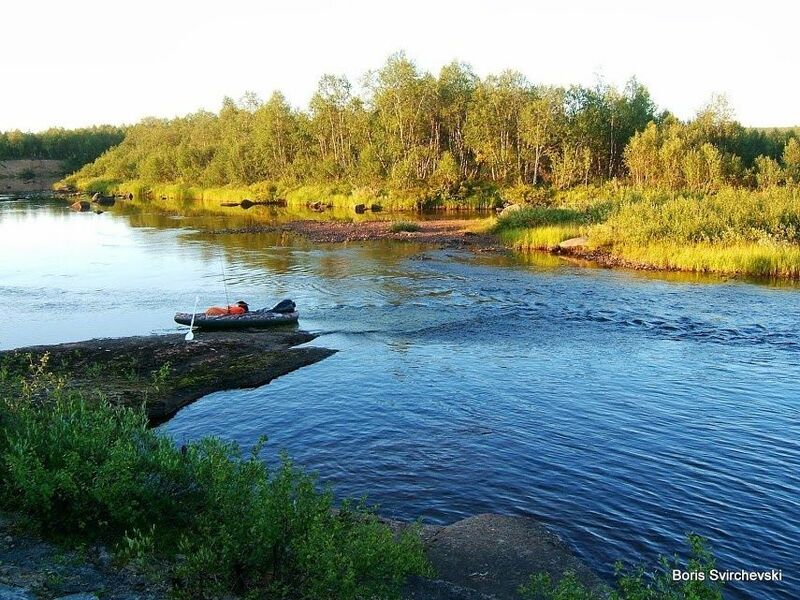 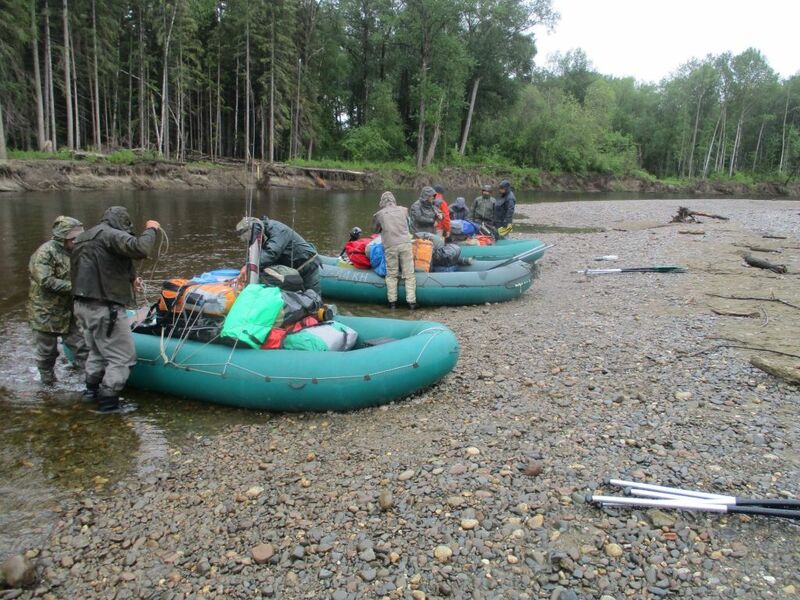 An expedition-style 18 fishing days and 540 km downriver trip on board of motor raft in southern Yakutia. 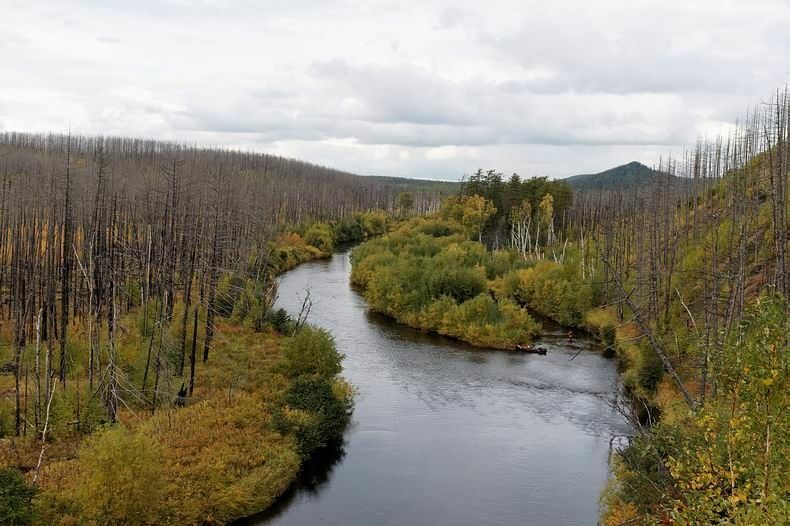 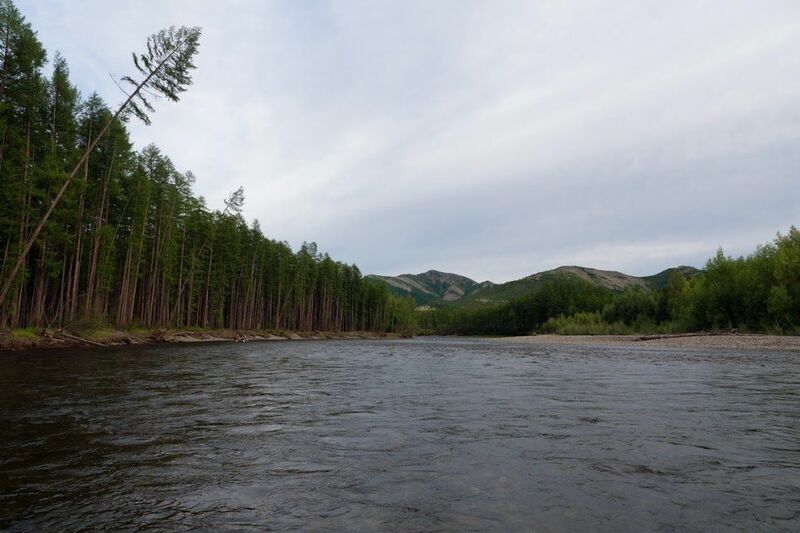 Scenic landscapes, nice taimen, and lenok trout fishing. 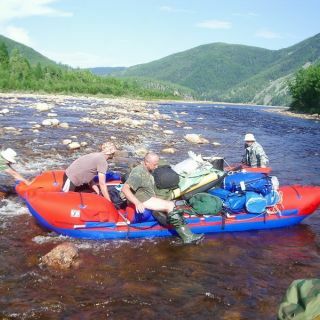 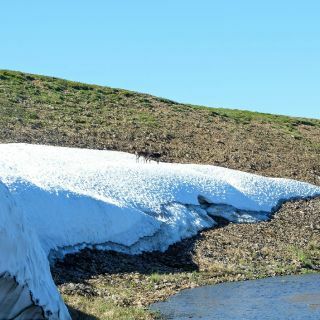 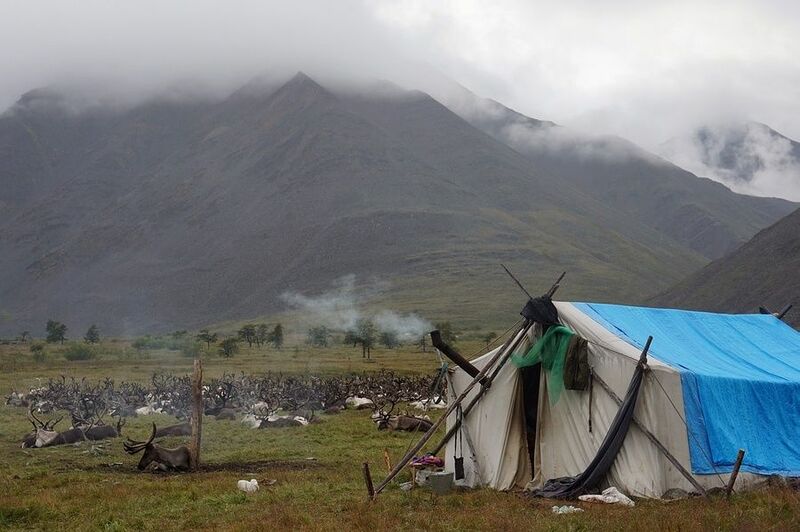 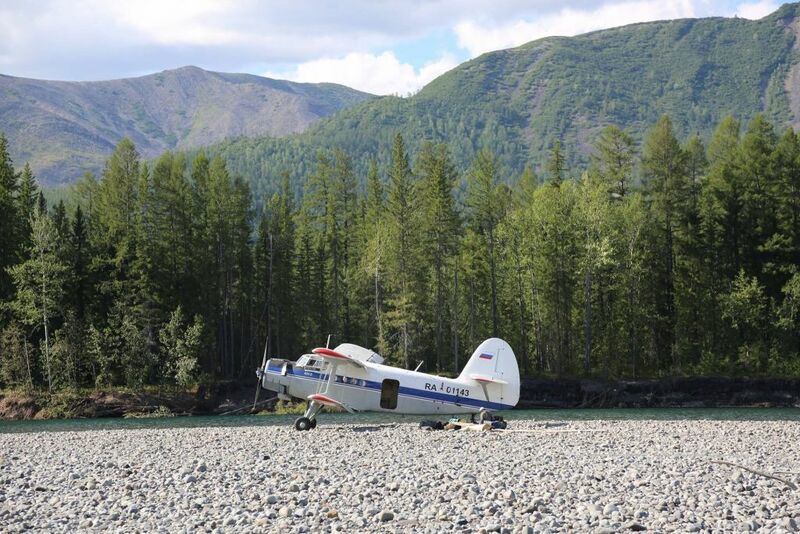 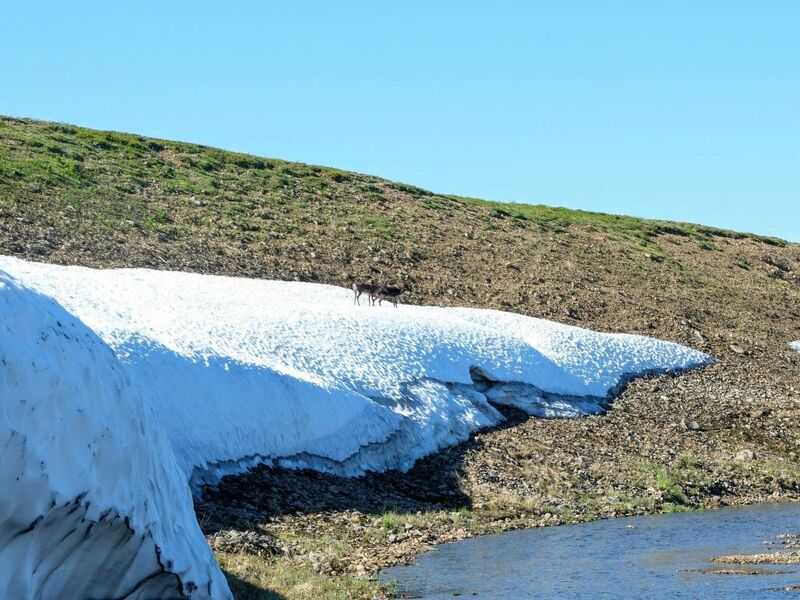 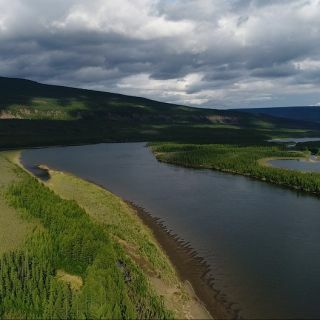 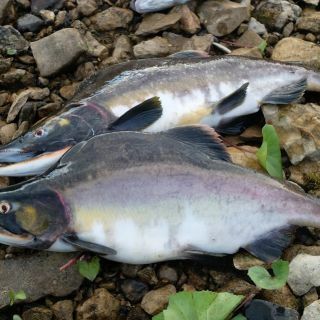 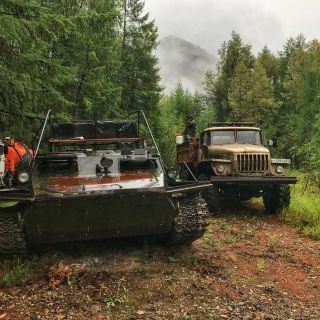 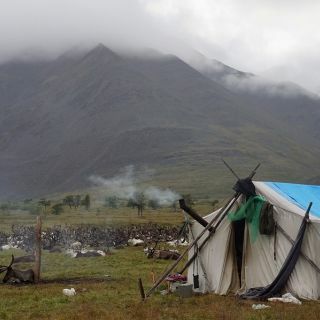 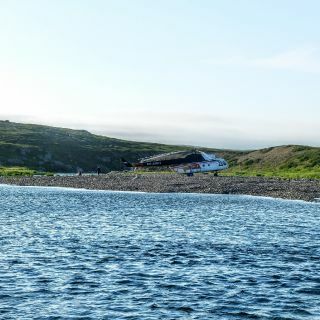 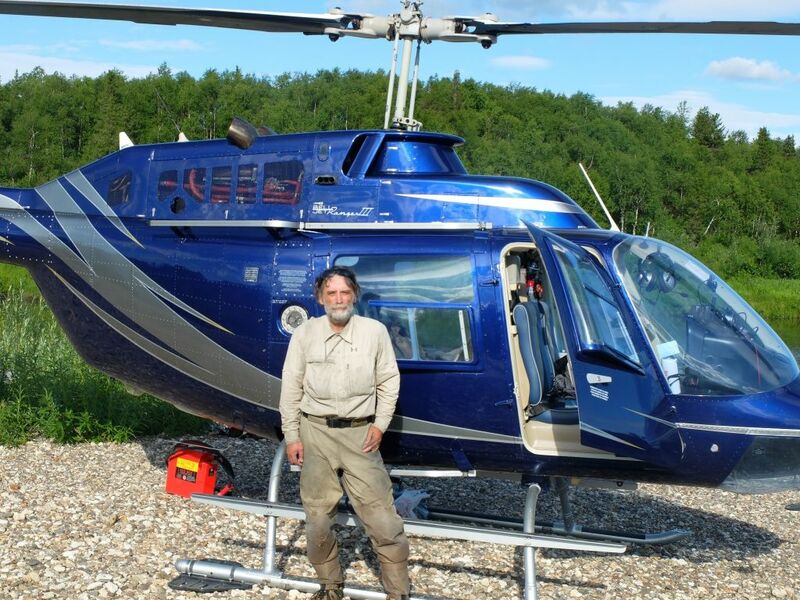 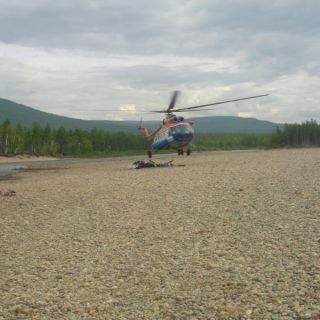 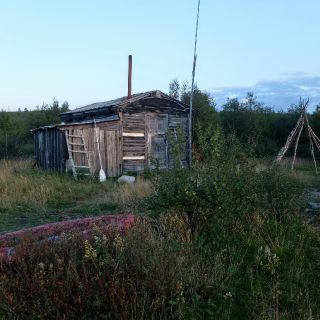 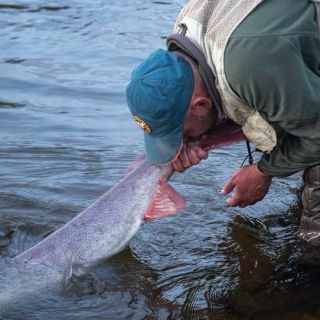 A combined and complicated in terms of the logistic trip in centr View more...al Yakutia: 3 days trophy size arctic char fishing at the remote lake, then a short helicopter transfer to the river and 12 days rafting with nice taimen fishing towards famous Siberian Lena river confluence. 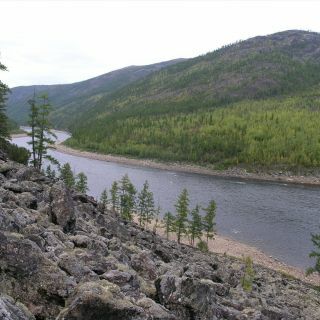 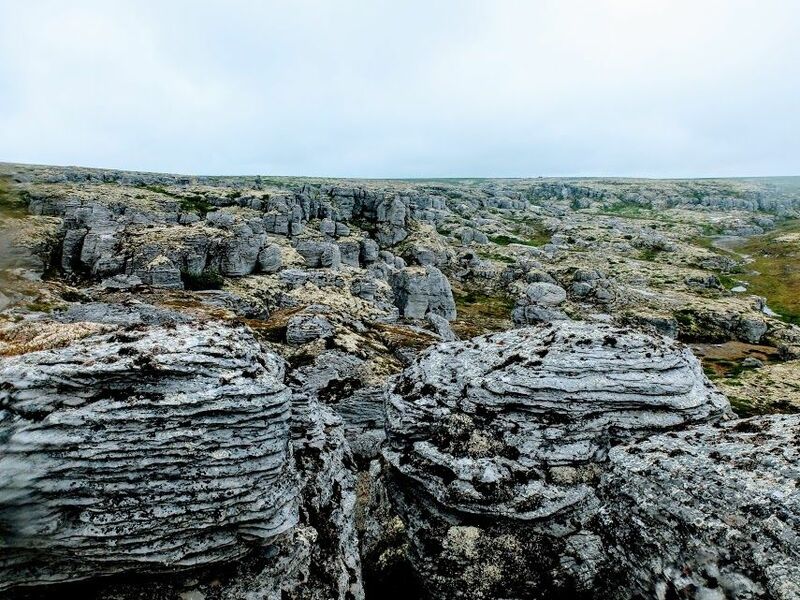 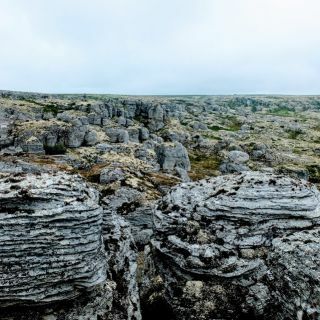 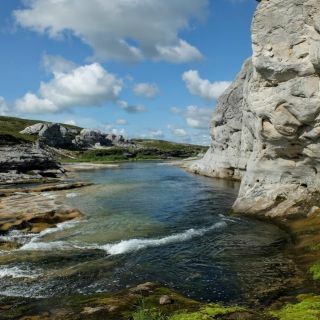 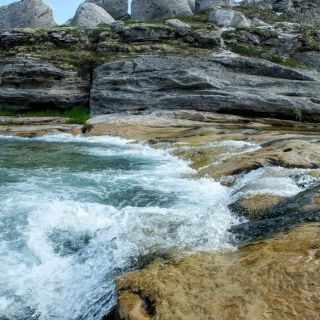 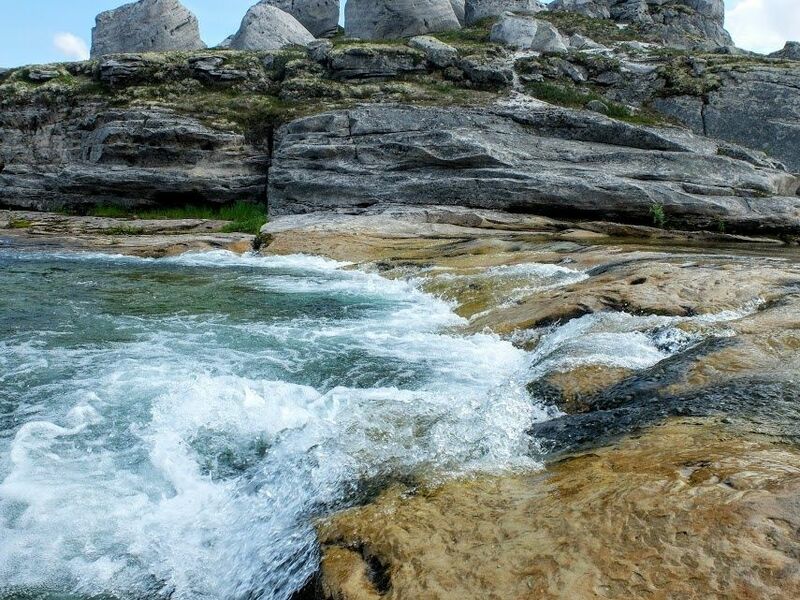 Two tours on the Far East in different parts of Khabarovsk region. 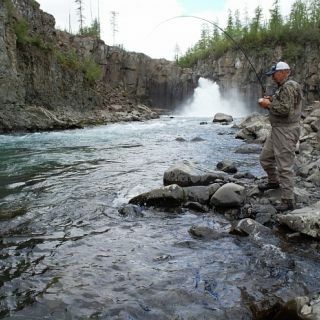 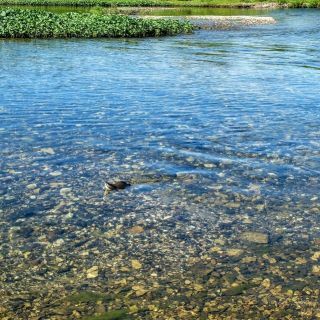 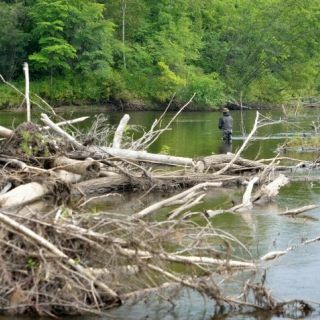 Two different rivers by nature but both give fantastic fishing. 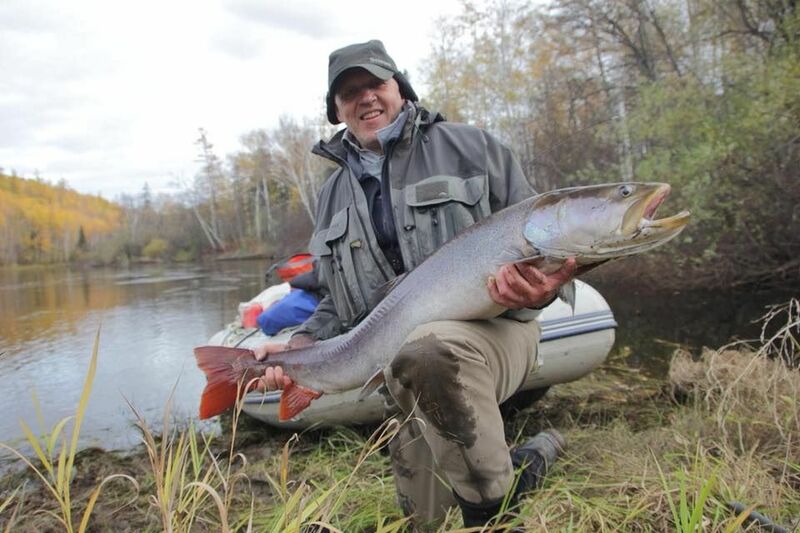 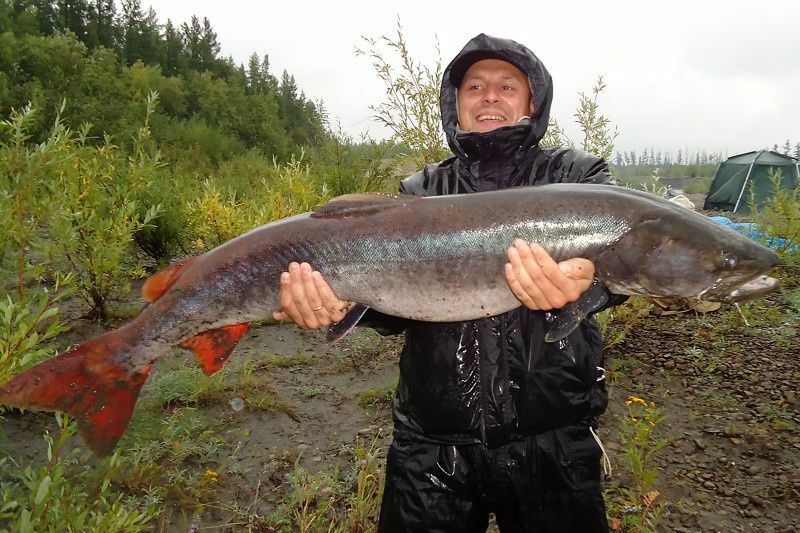 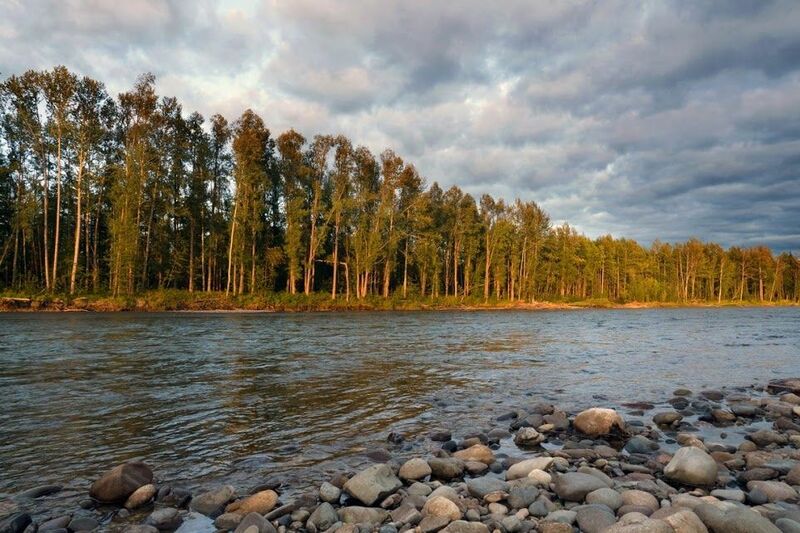 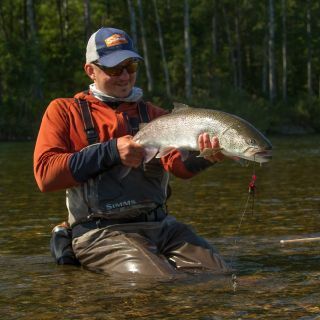 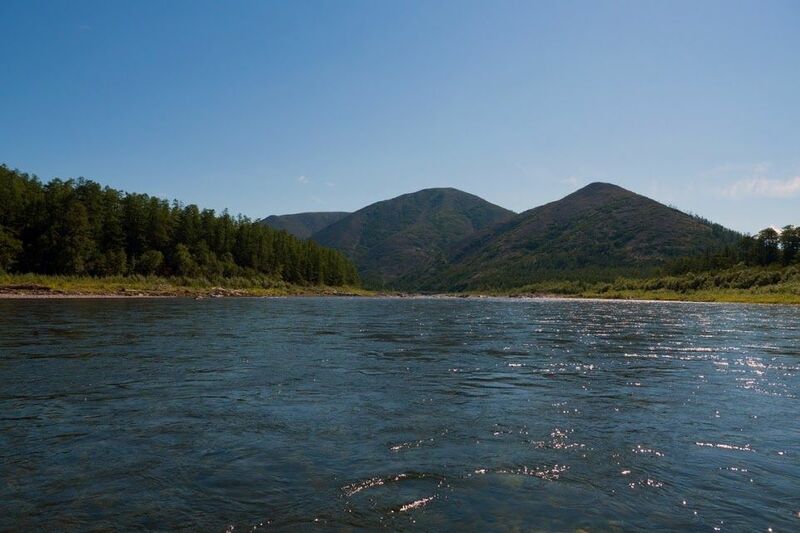 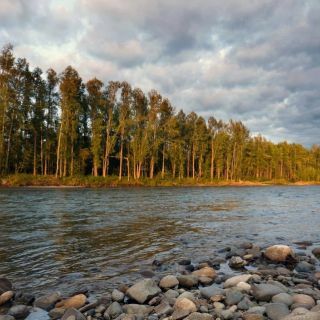 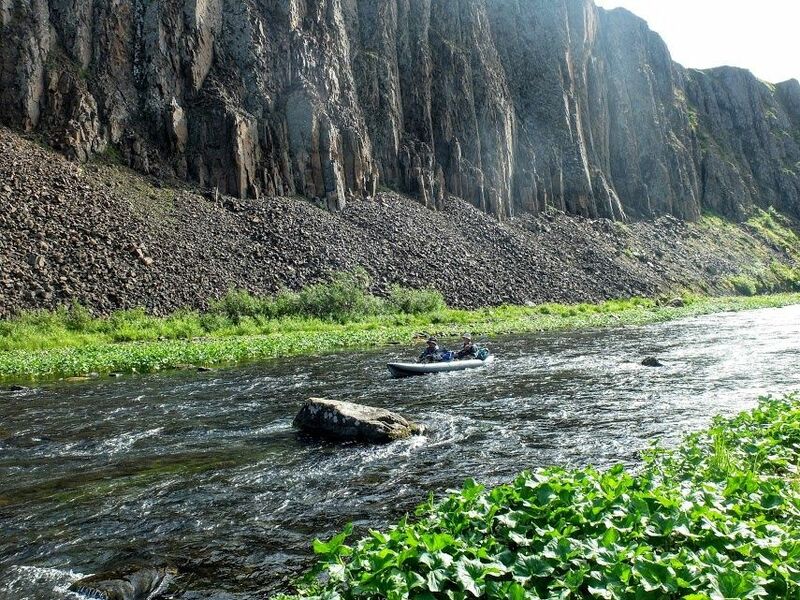 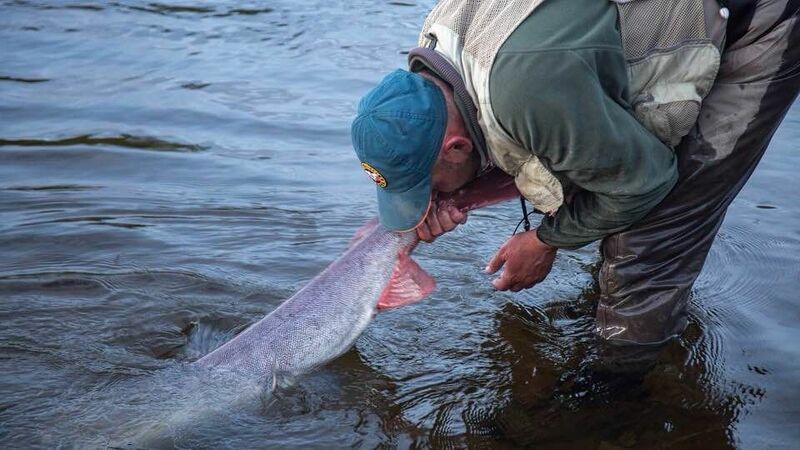 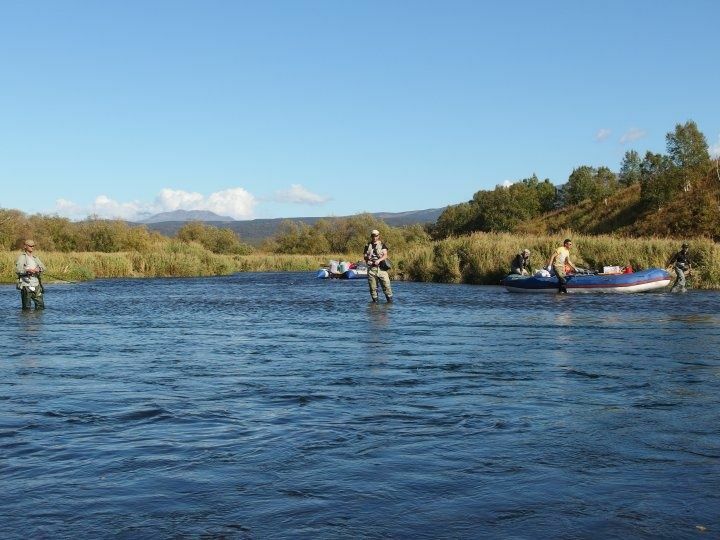 12 days floating trip on one of the best rivers in Russia for trophy size taimen fishing. 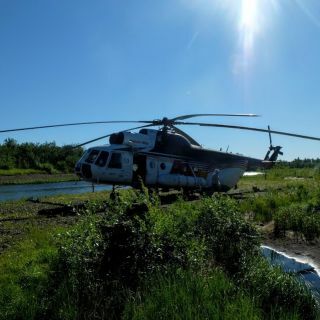 No helicopter. 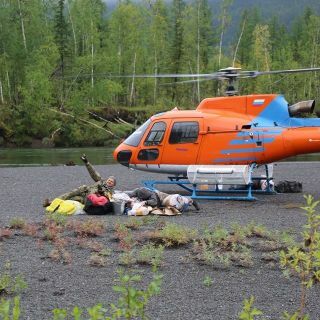 - Pricing: 4 100 USD/pers, no helicopter expenses. 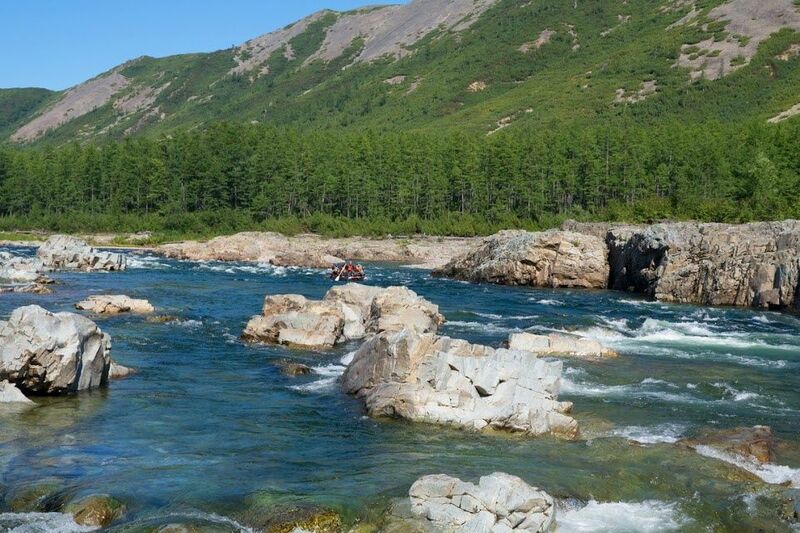 12 days and 250 km rafting as far as the Sea of Okhotsk. 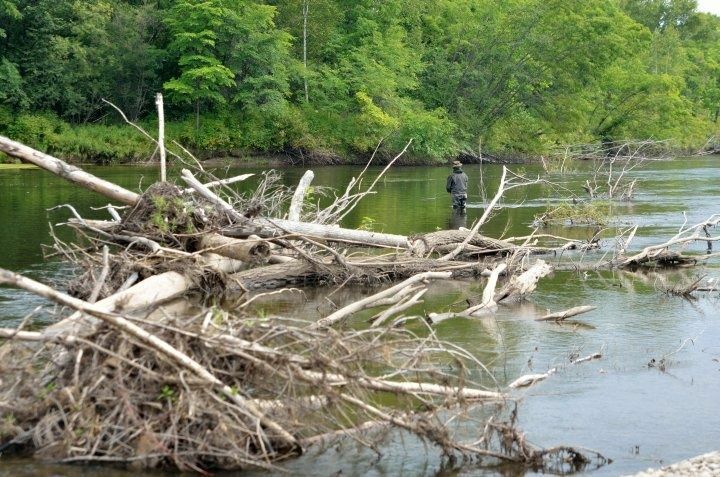 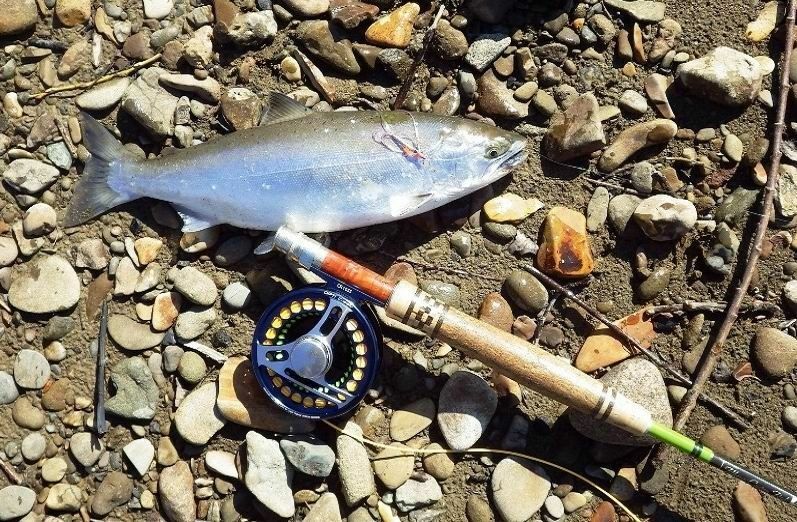 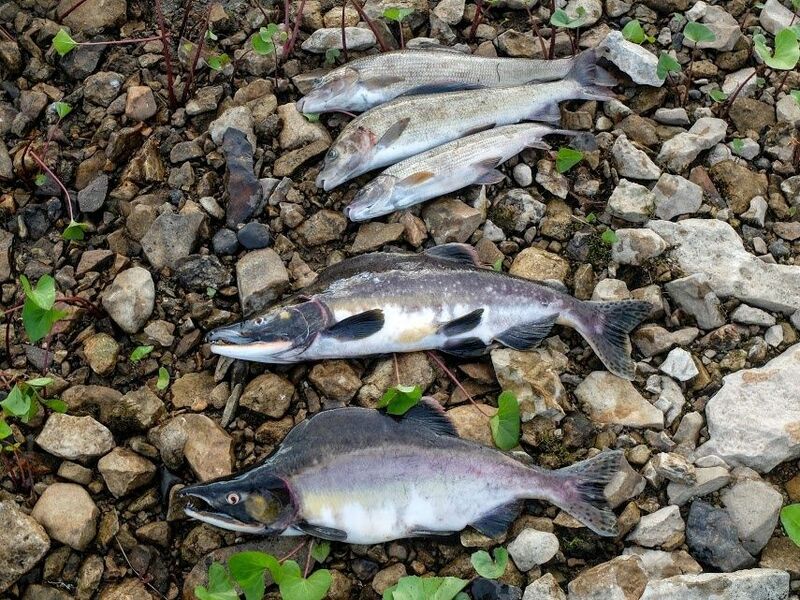 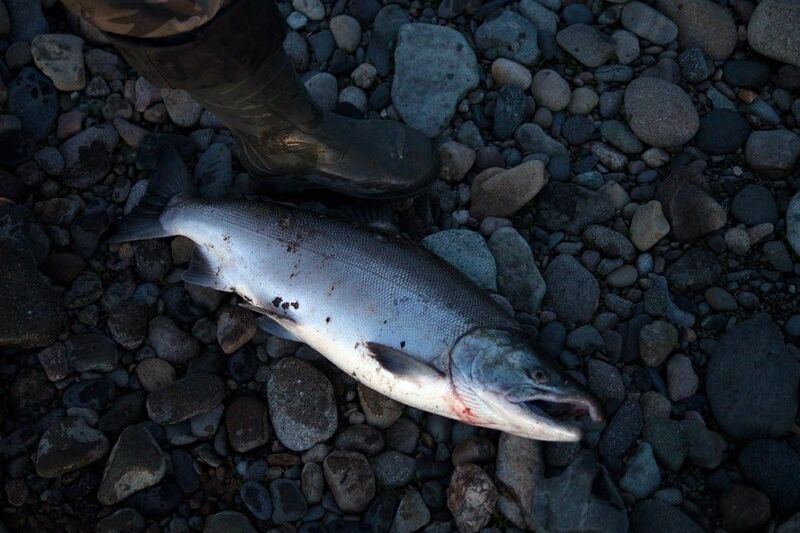 Nice effective fishing along the entire length of the river (see video). 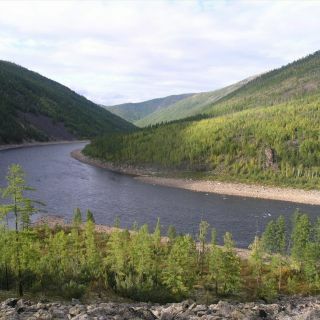 Two trips on the northern Sakhalin island and one tour on the continental part, on the other side of Tatarskiy Strait. 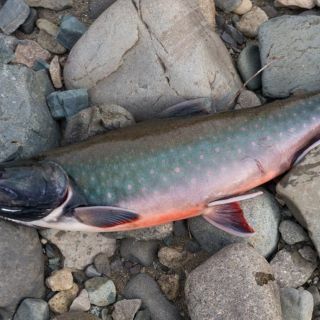 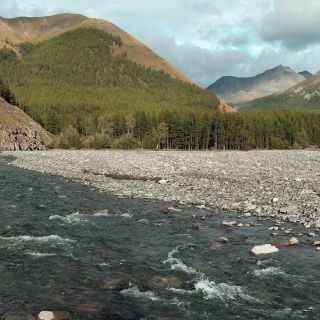 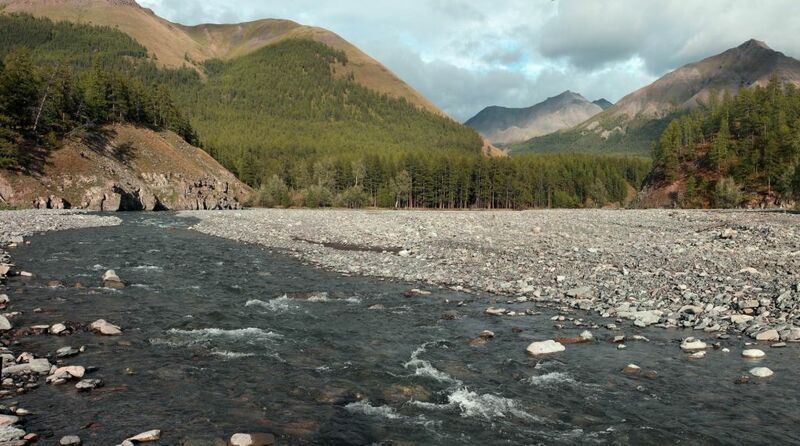 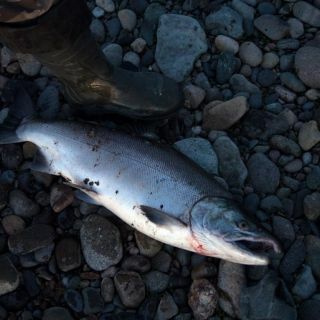 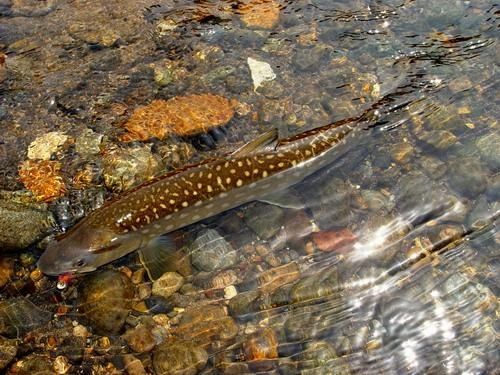 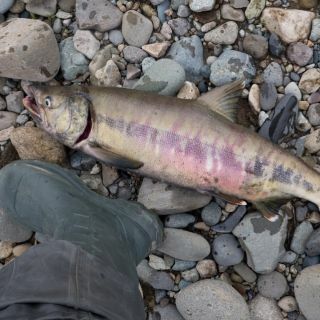 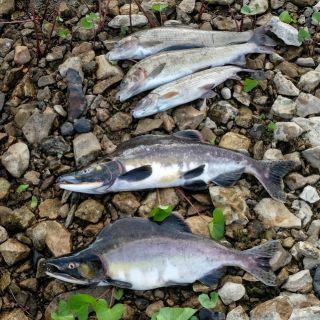 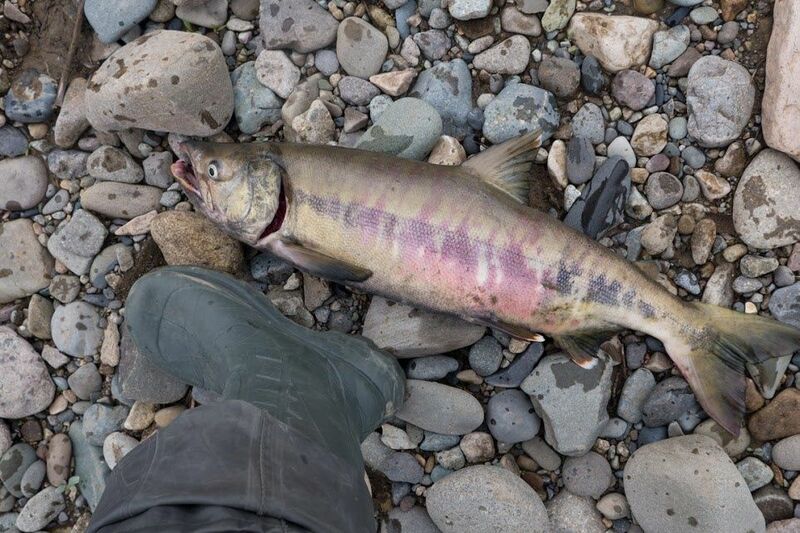 Very beautiful and fishy rivers, incredible fish diversity: different species of Pacific salmon (cherry, pink, chum, coho), grayling, white-spotted char (kundzha), and, YES - trophy size Sakhalin (also known as Japanese) taimen! 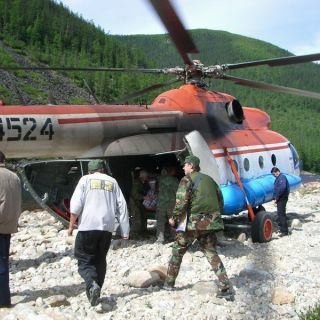 No helicopter - ground transport only! 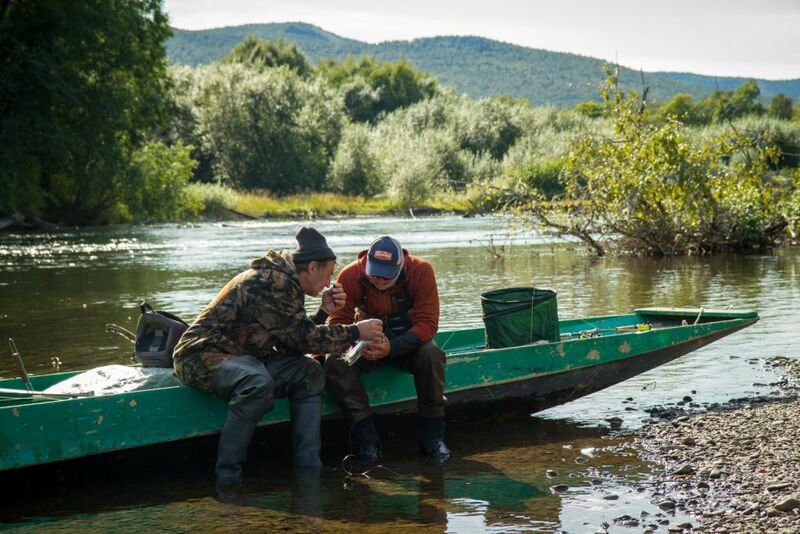 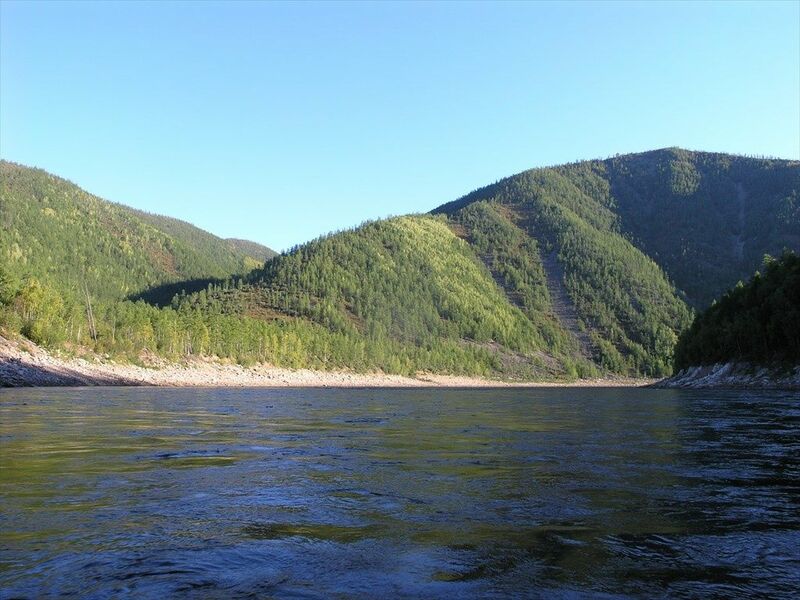 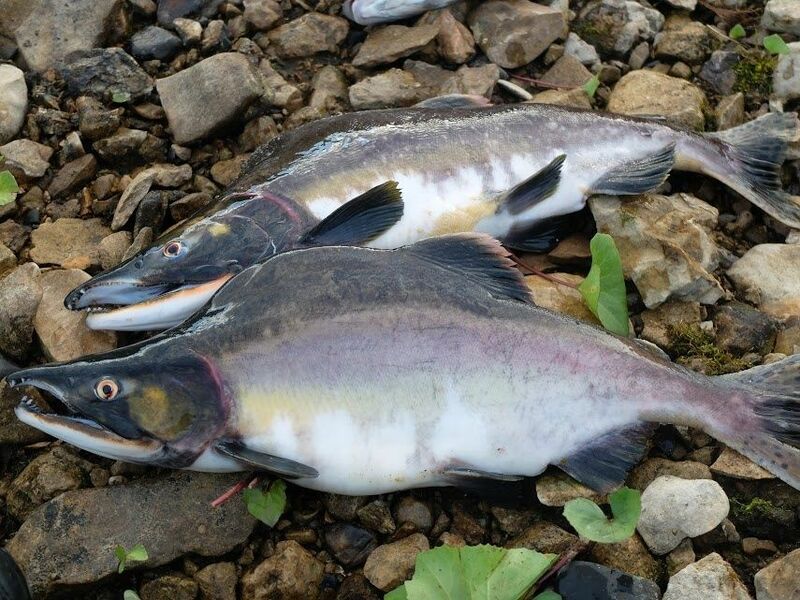 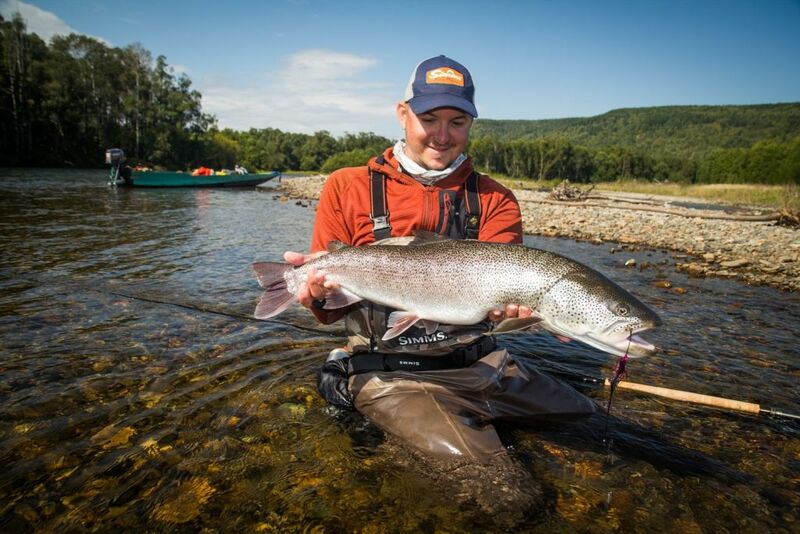 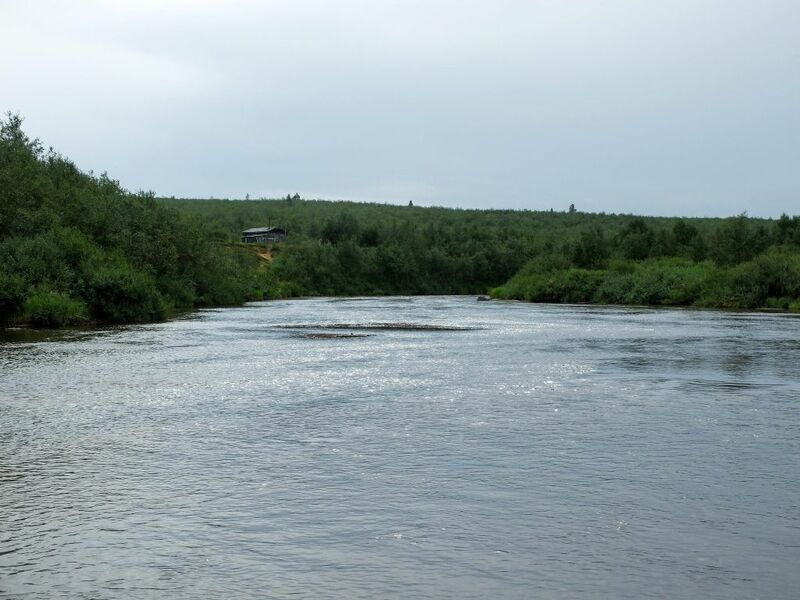 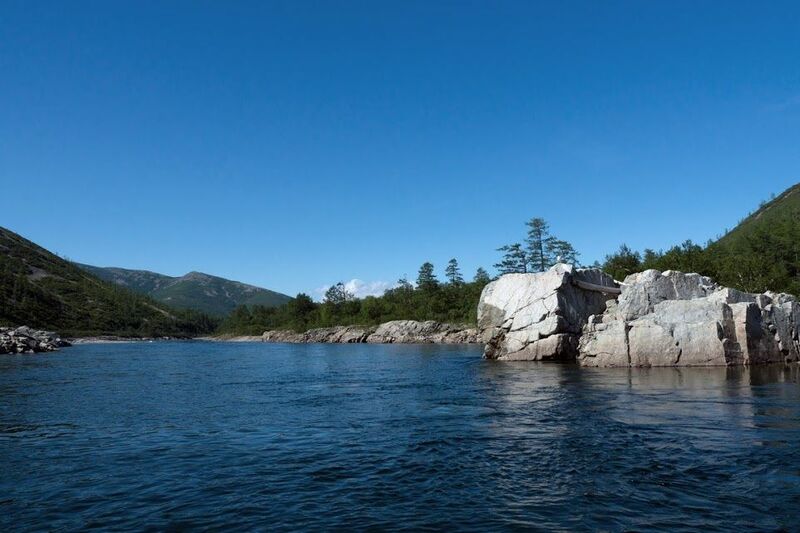 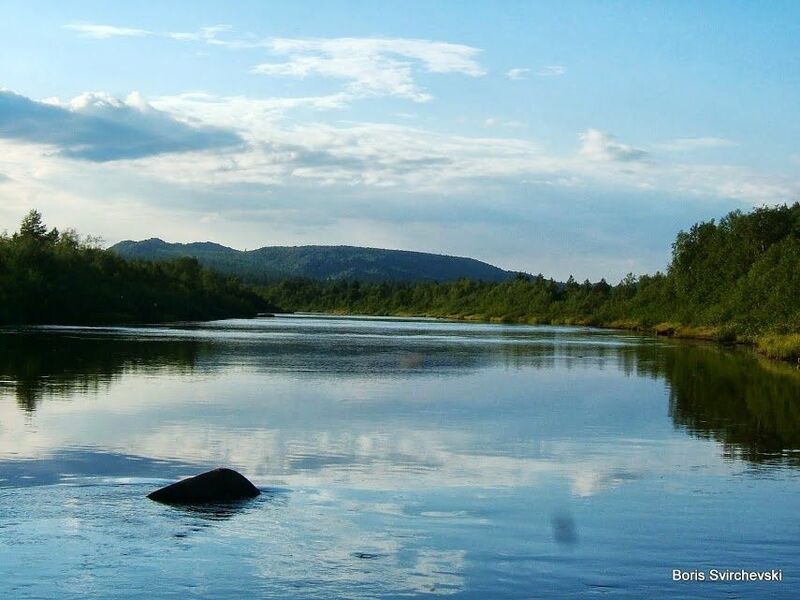 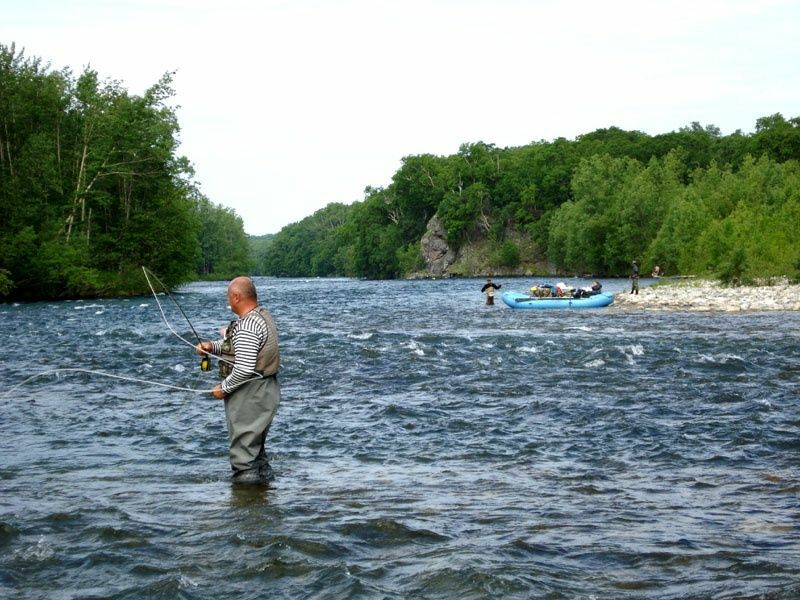 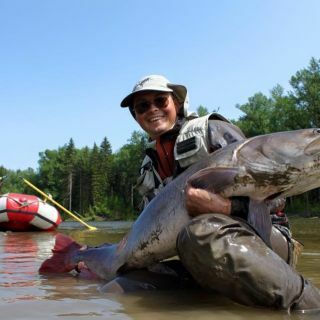 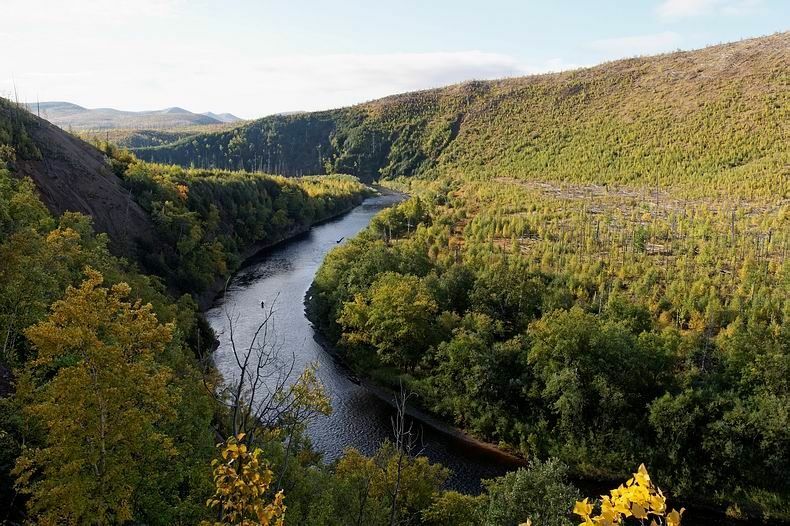 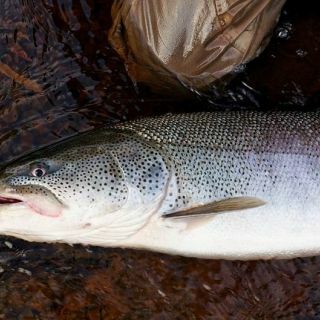 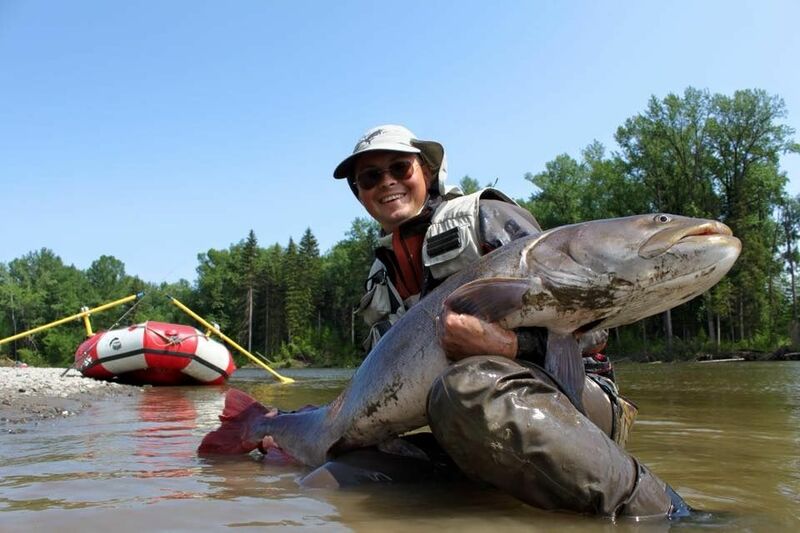 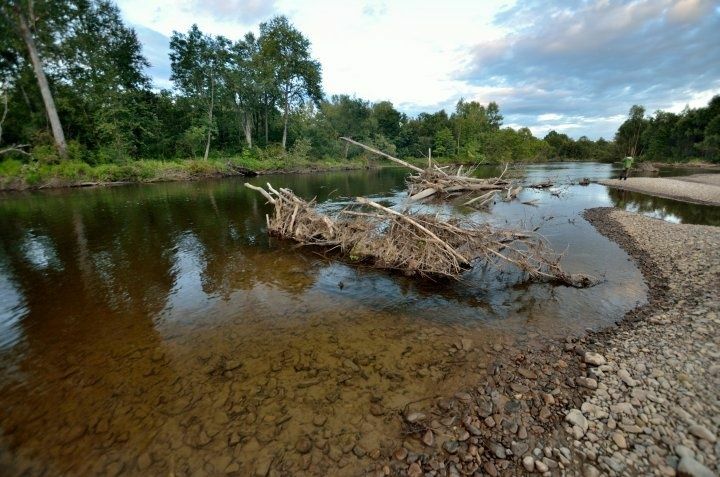 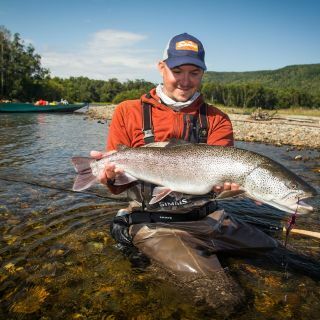 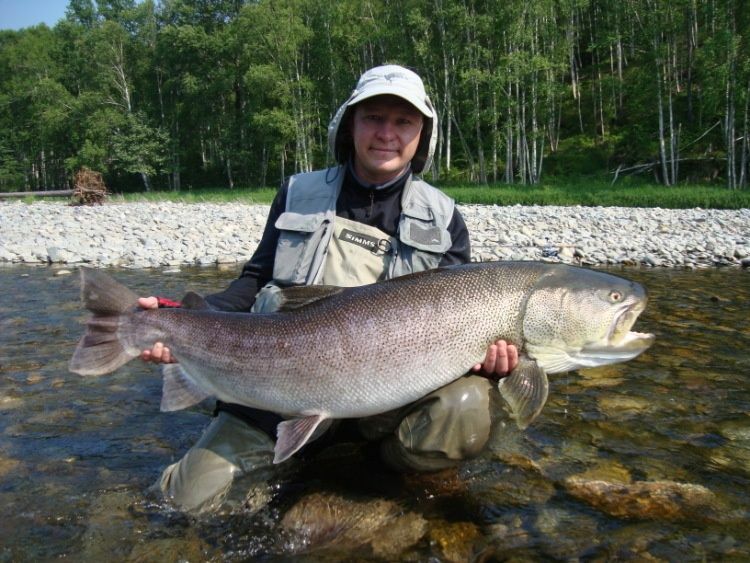 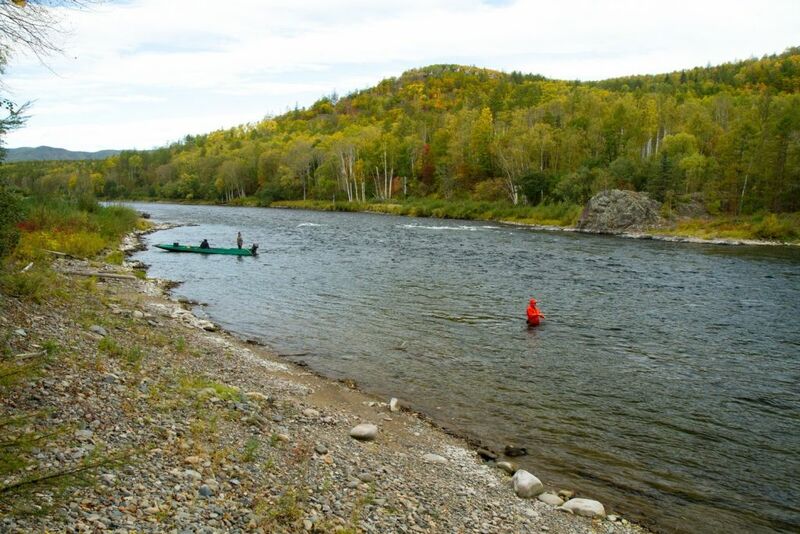 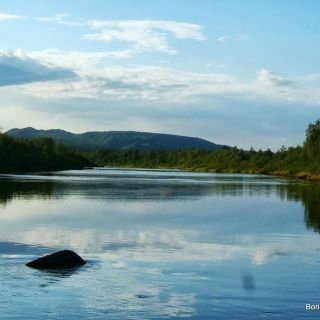 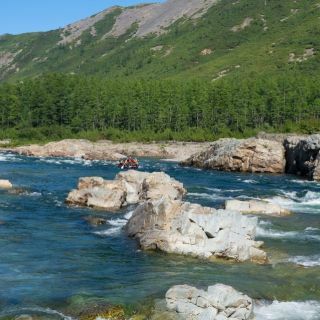 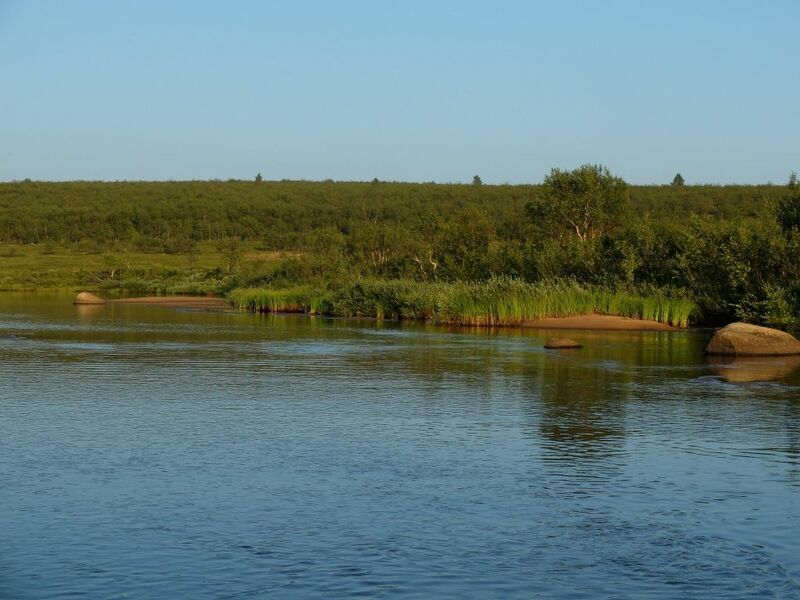 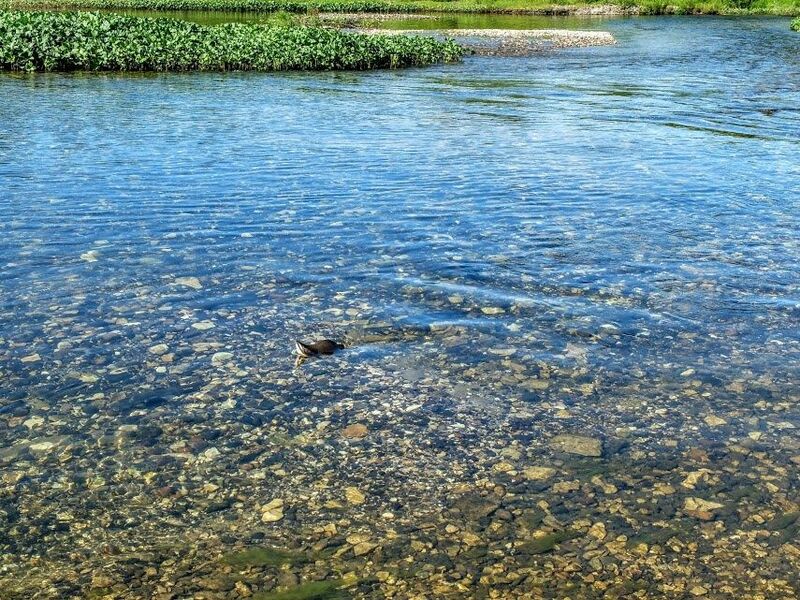 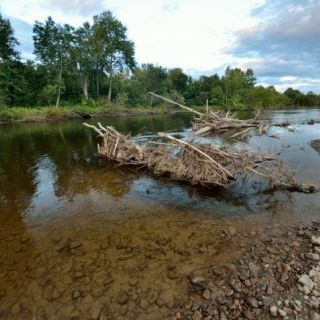 A floating trips on 2 different rivers on the northern Sakhalin, 7 fishing days. 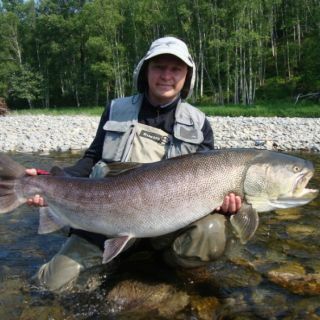 10 days of fantastic fishing on the very fishy river, stay at tent base camp and comfortable wooden houses, daily transfer to/from fishing spots with local guides on Orochi 10 meters long wooden motorboats "ulmagda View more...". 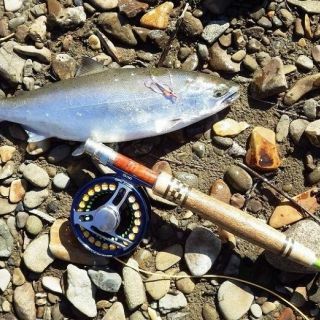 Beside Western food, professional cook offers delicious Japan sea seafood dish. 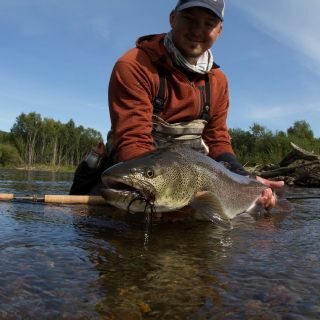 Extended fishing season - from June till October. 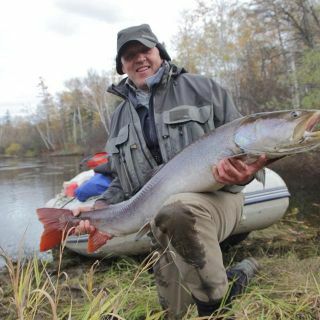 See video from Ryan Peterson. 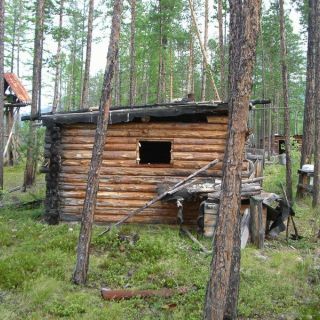 Please, PM for more information. 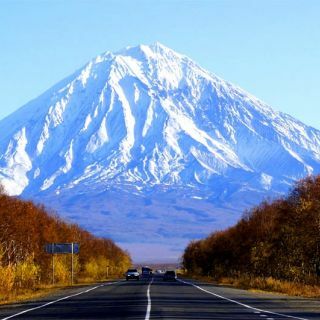 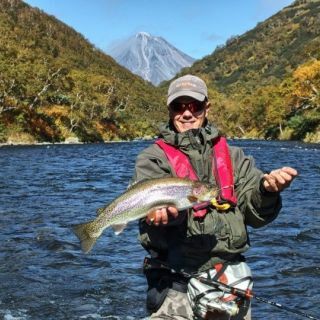 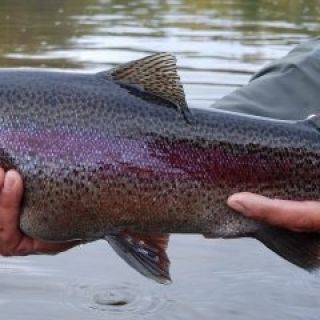 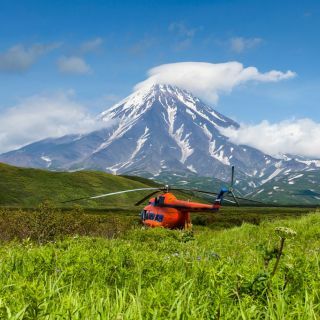 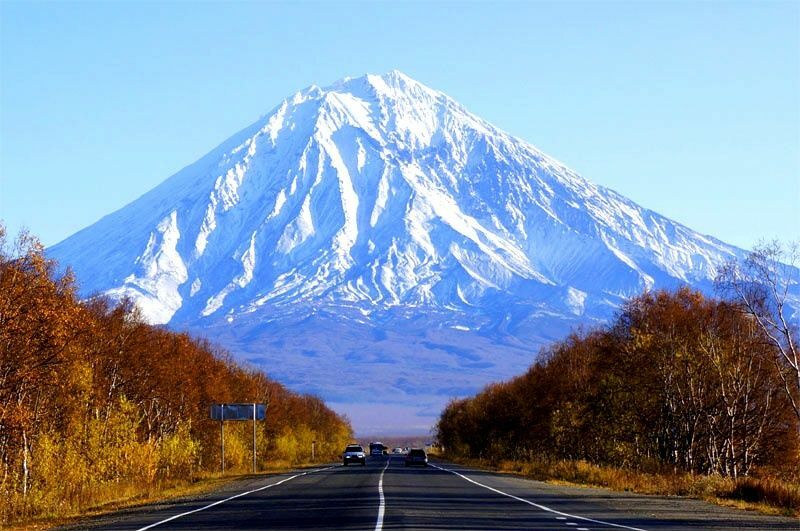 The land of volcanoes, bears and salmon, Kamchatka is a real fishing paradise - different species of pacific salmon, grayling, kundzha, char, rainbow trout. 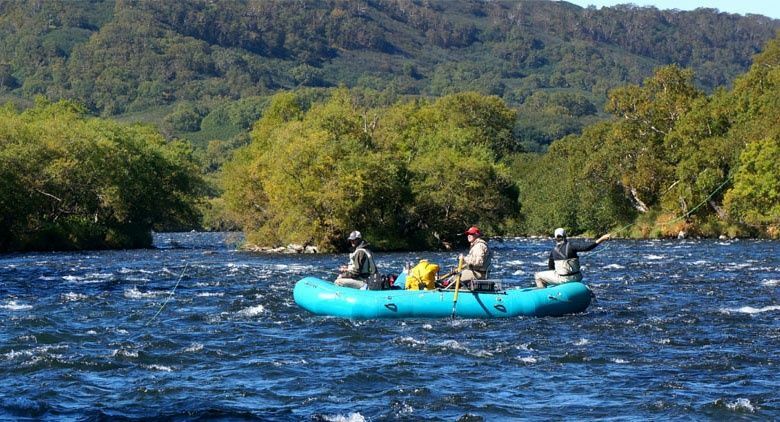 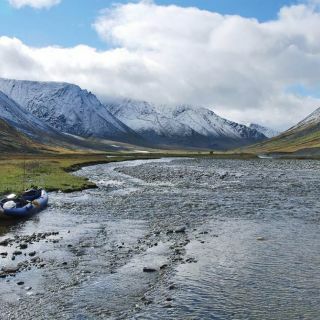 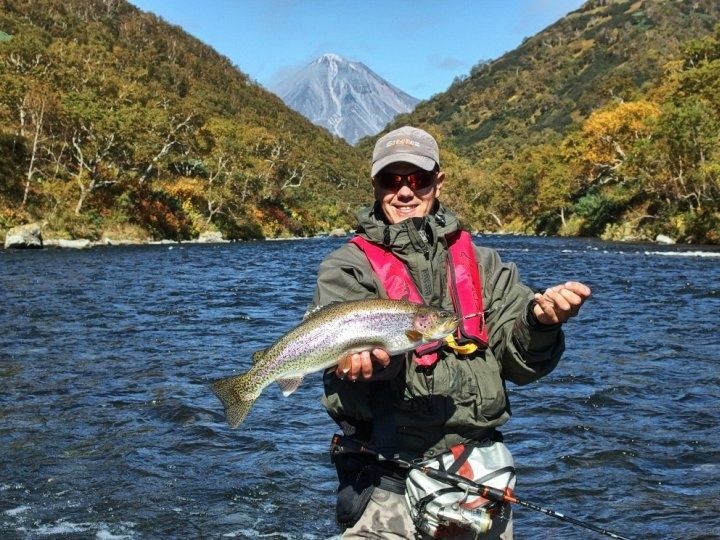 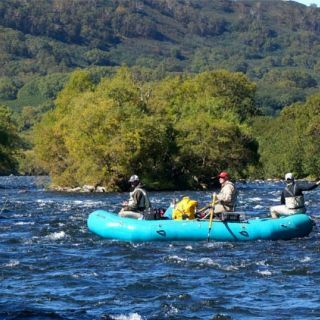 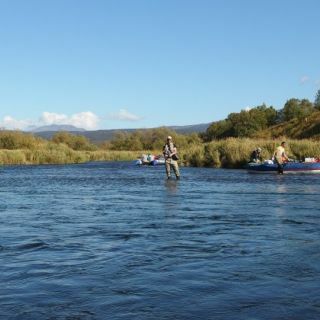 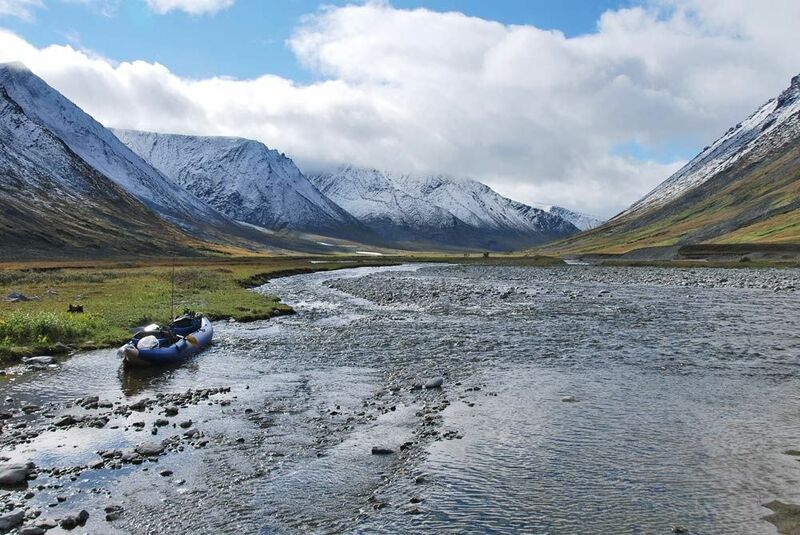 We offer a few trips on rivers in different parts of the Kamchatka Peninsula. 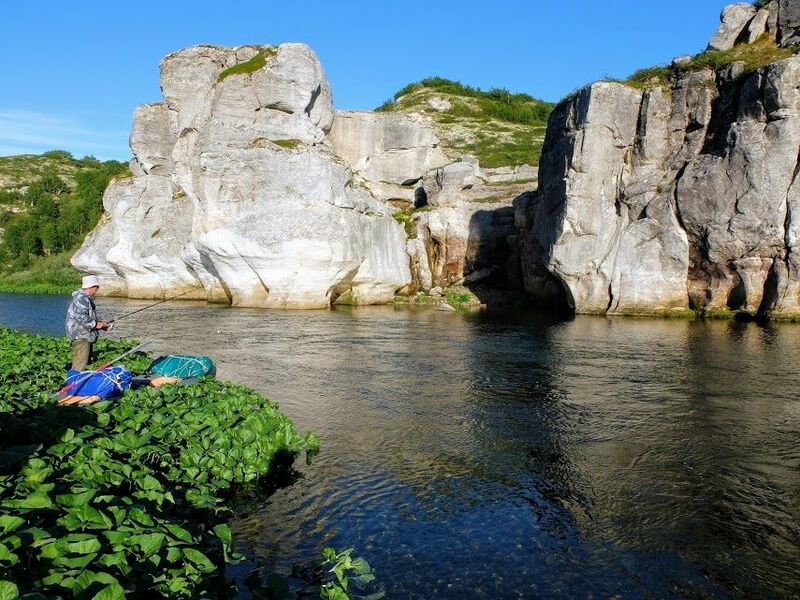 7 fishing days floating trip on a very beautiful Opala river with scenic views and great fishing in the southern part of the peninsula. 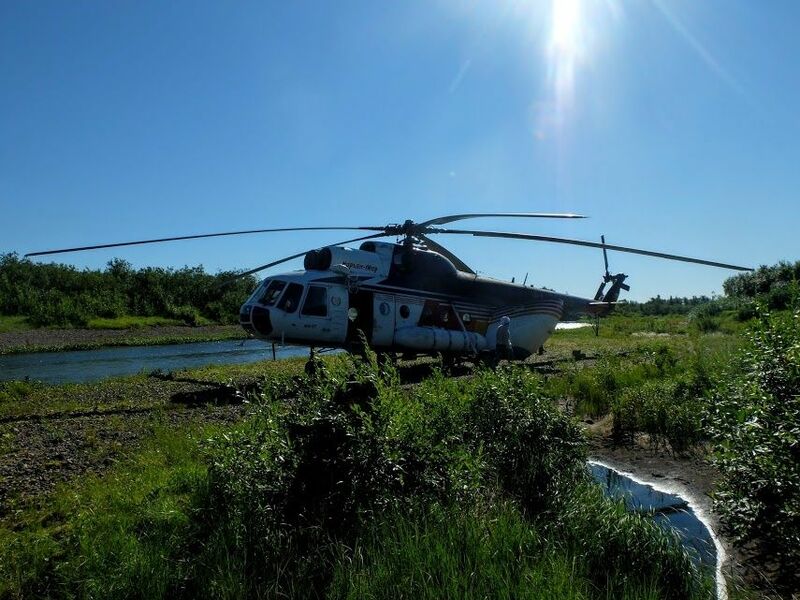 No helicopter. 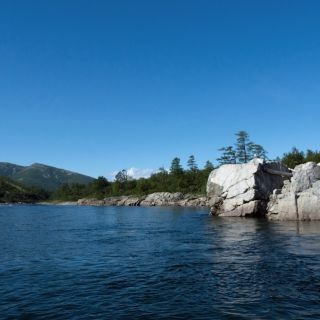 A floating trip for 8 days on the remote river in the western part of the peninsula rich of silvers and rainbow trout (mikizha). 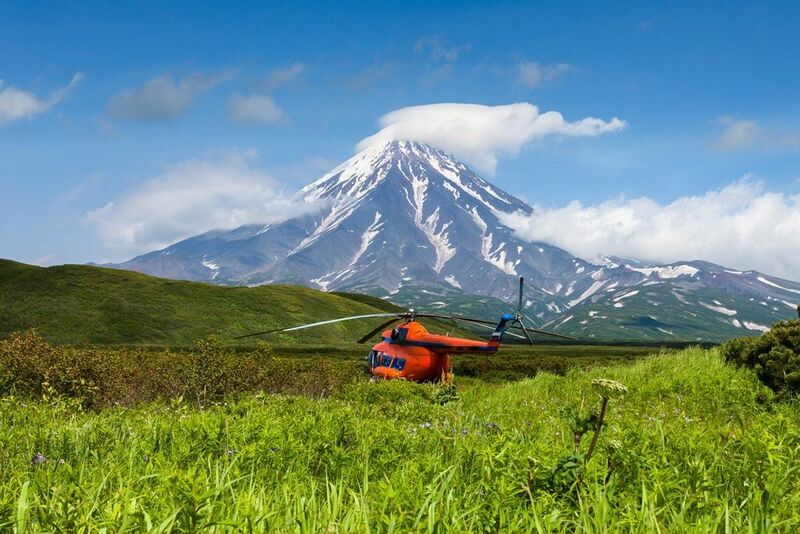 A floating trip on the biggest river of Kamchatka for 7 days. 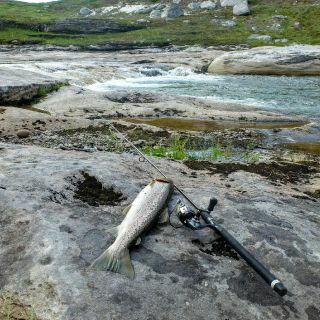 Easy access but very good fishing trophy size silvers, grayling, char, mikizha. 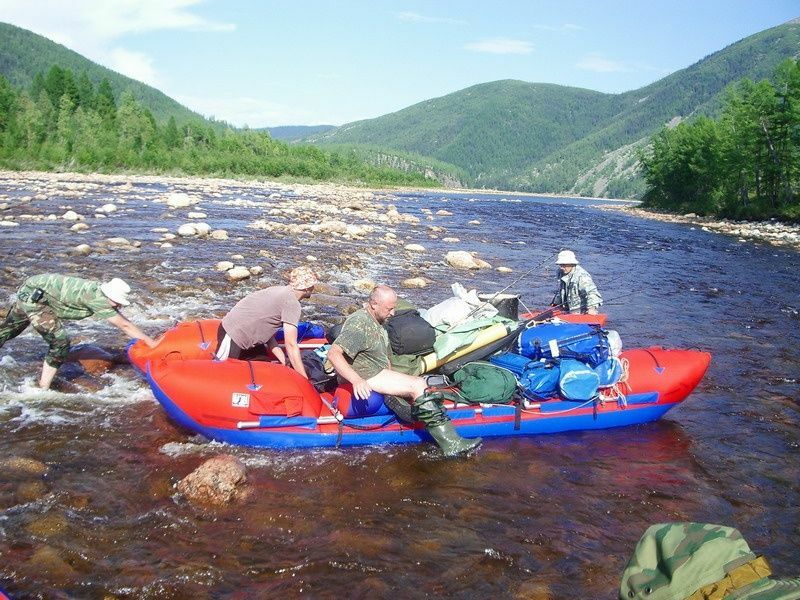 A floating 8 days trip on Levaya river. 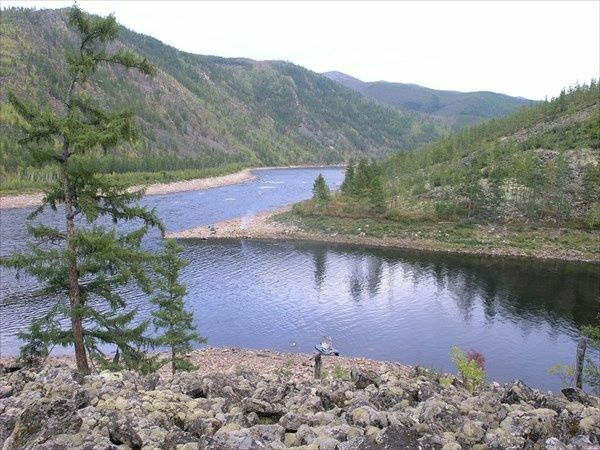 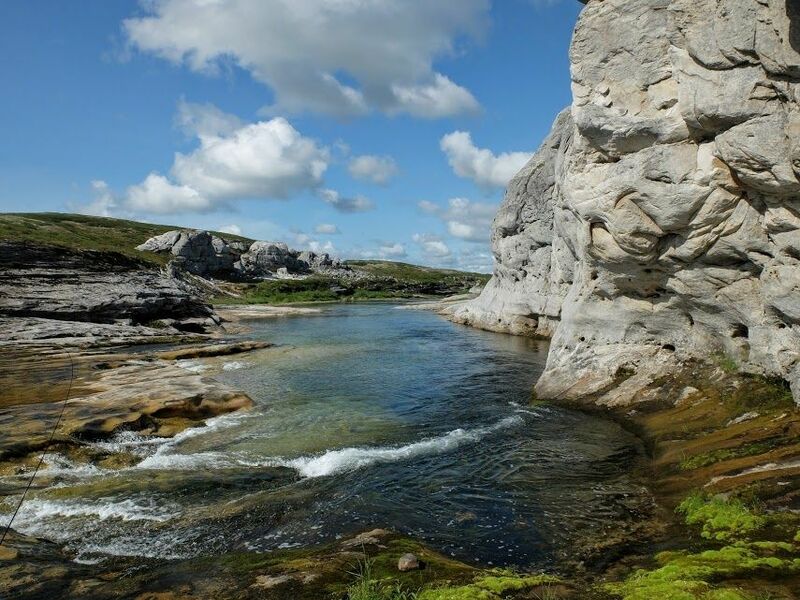 Magnificent landscapes and nice fishing for chums, silvers, grayling, kundzha, rainbow trout and char.